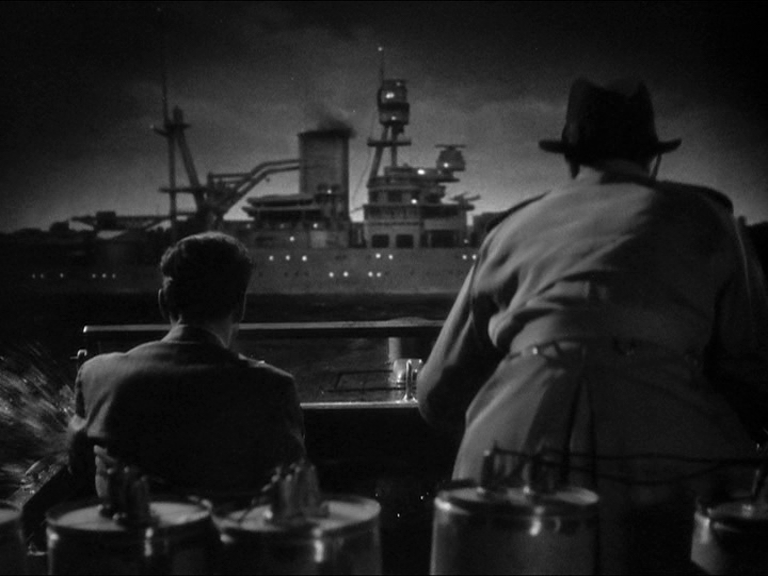 This movie, about soft hearted gangsters that defeat some Nazi fifth columnists is peppered with some very funny lines and a climax featuring a short miniature boat sequence. Bogart's character is forced at gunpoint by the chief Nazi spy to pilot an explosive laden speedboat at an American warship in the harbour. 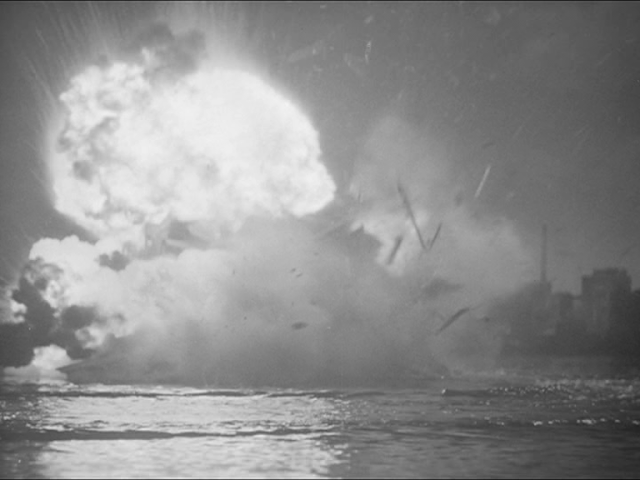 He manages to turn the speedboat at the last second, leaping out leaving the speedboat to crash into a barge and explode thus saving the warship. Some shots suffer from a lack of depth of focus and there is a general flatness to the painted backdrops, however the explosion is very well done with lots of flying debris coming out of the fireball. 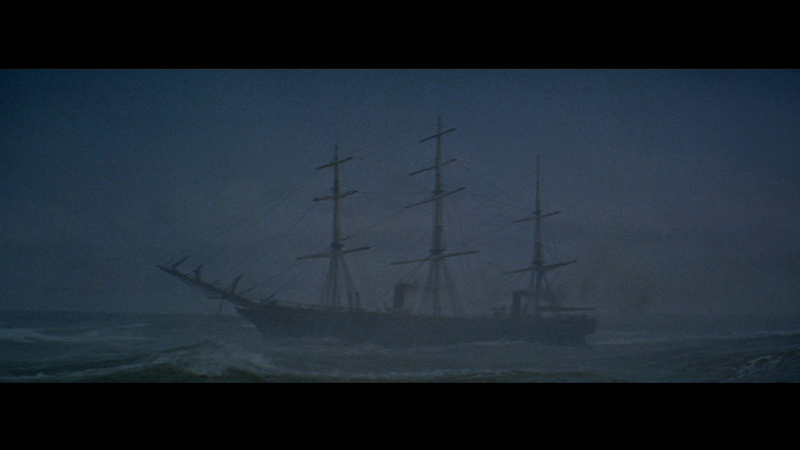 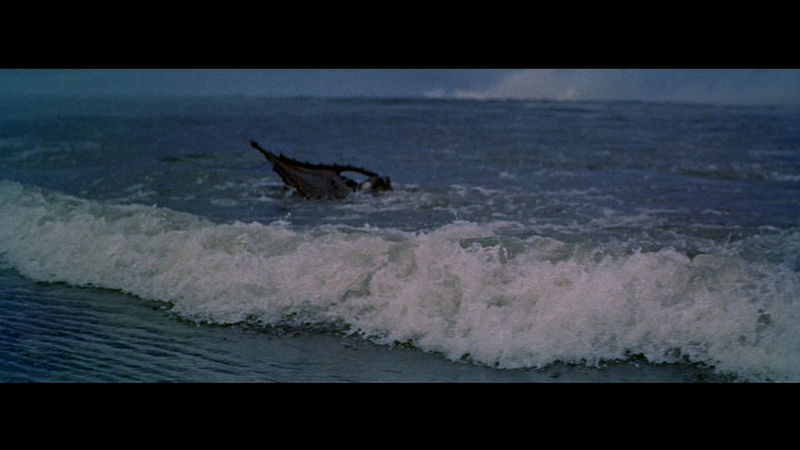 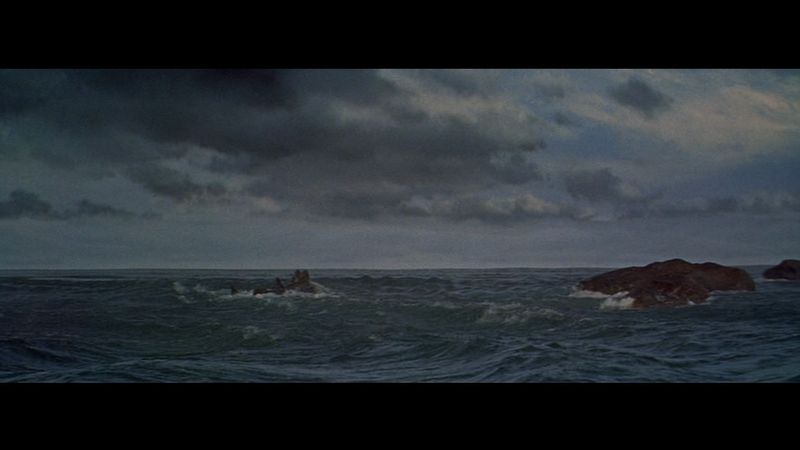 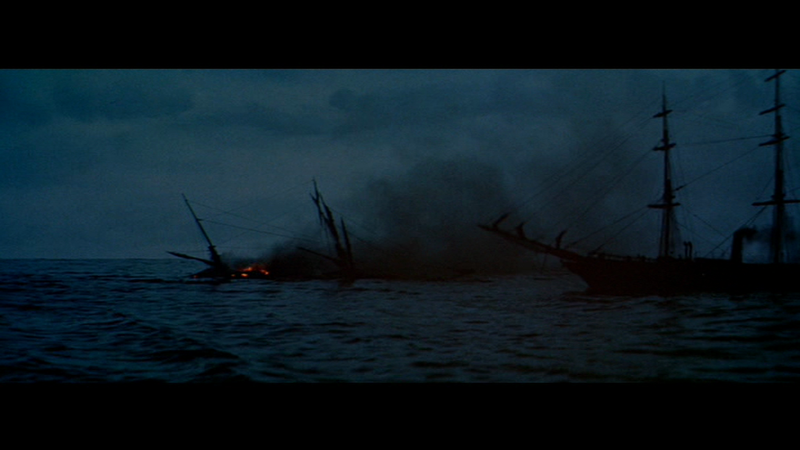 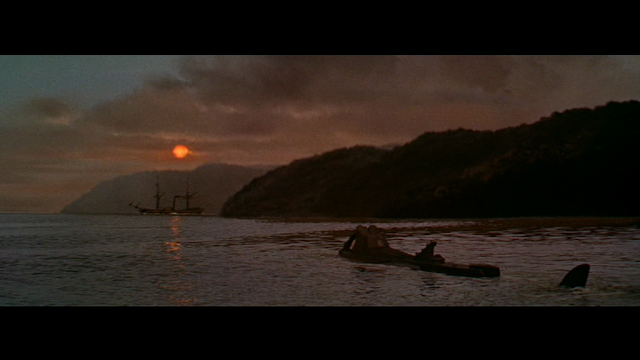 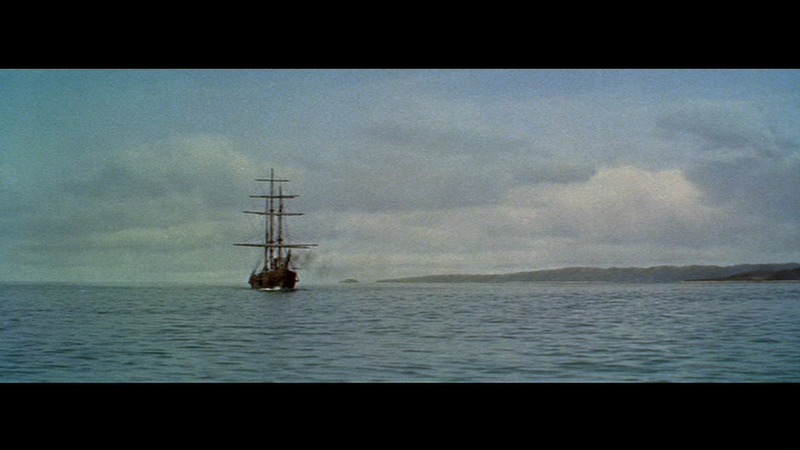 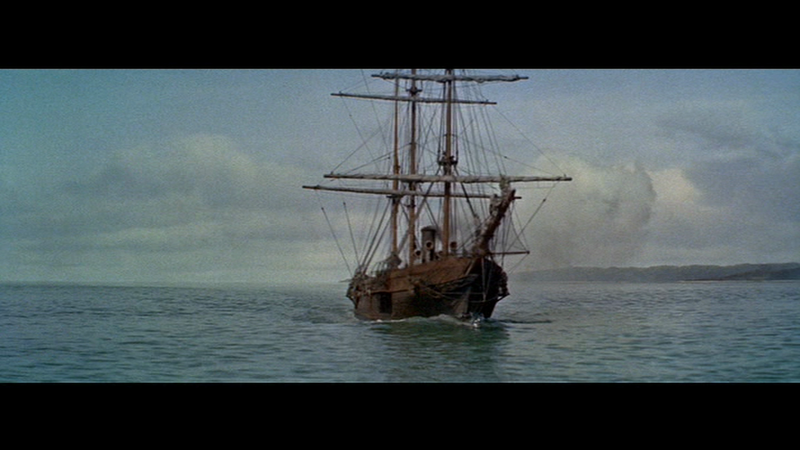 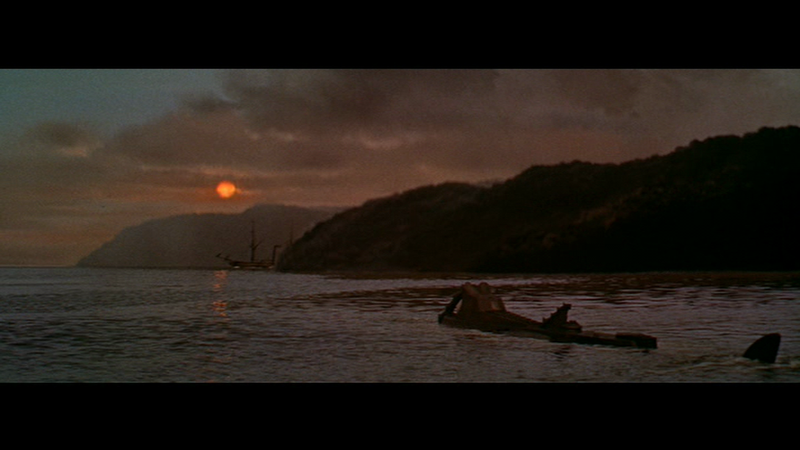 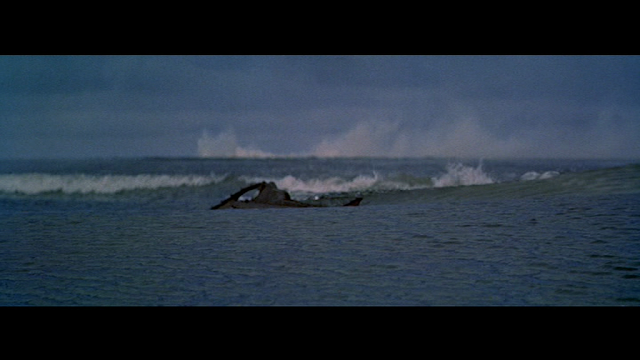 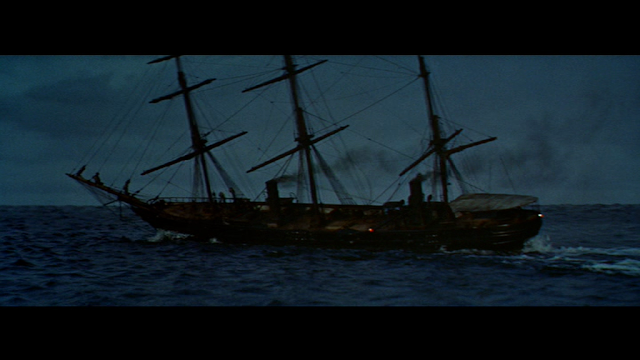 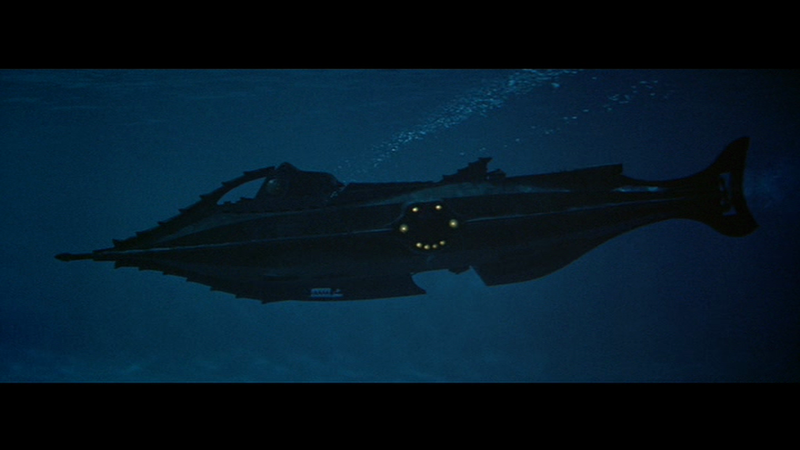 There is exactly one shot of a model ship in this movie, for a rough weather scene... and that's it. 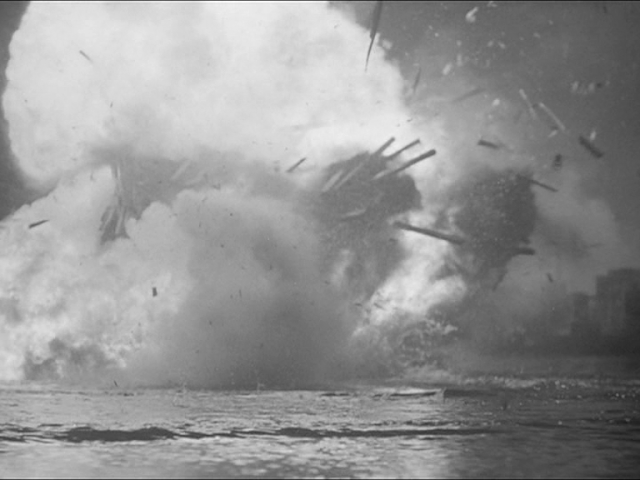 Originally the film was going to be about stopping an attack on Pearl harbour, and then the real thing happened, so the setting got changed to the Panama canal. 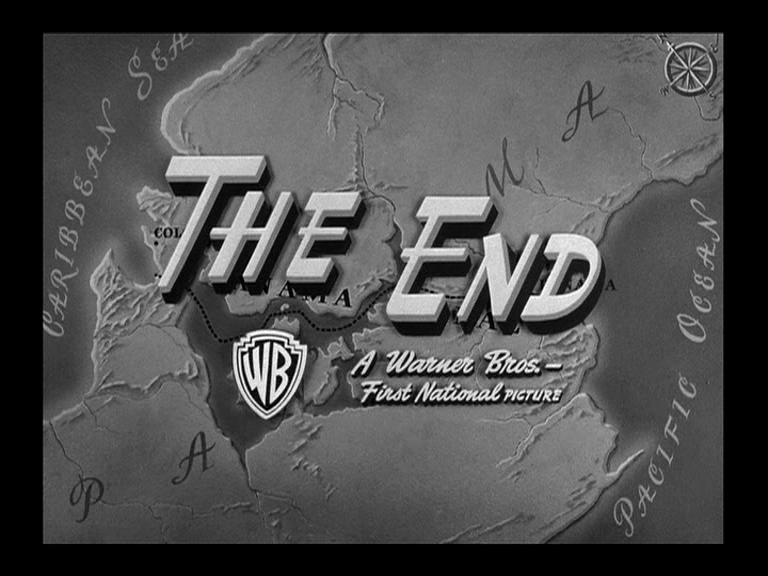 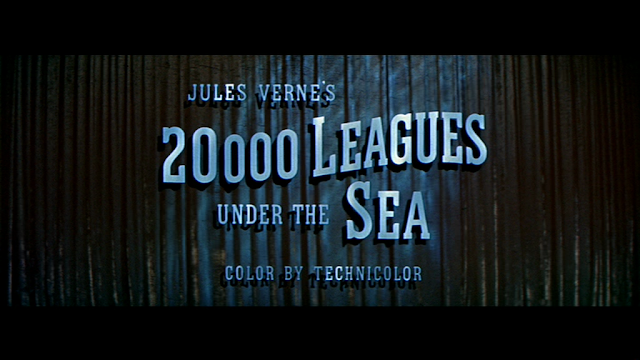 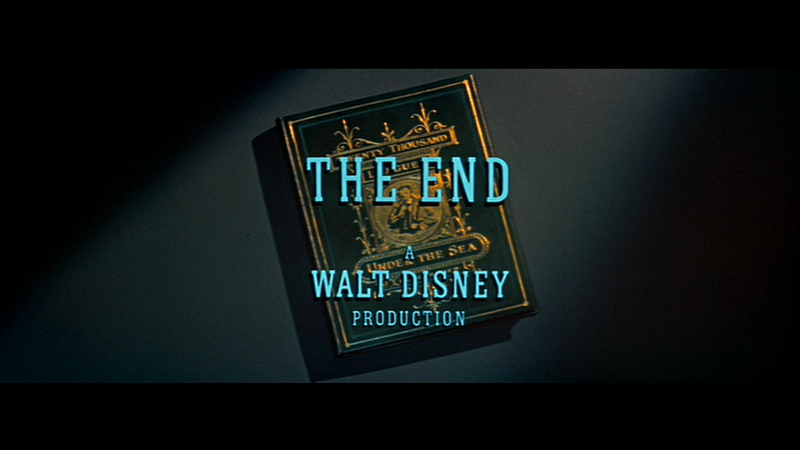 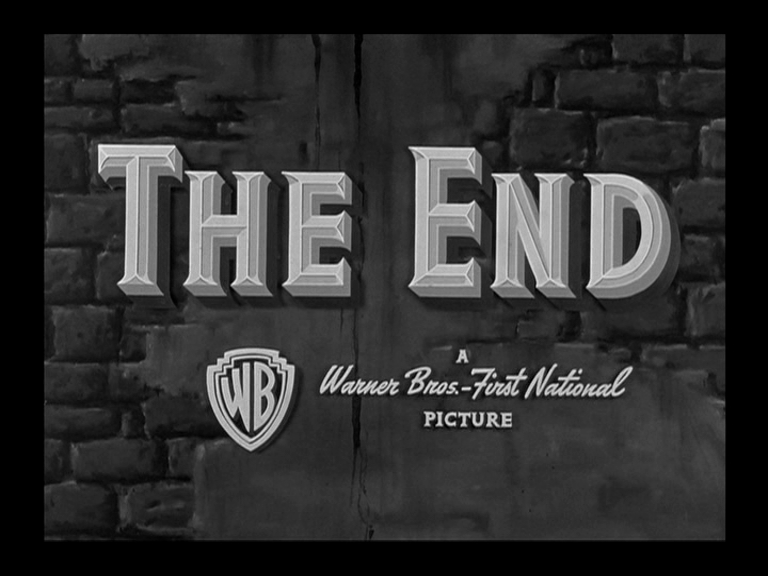 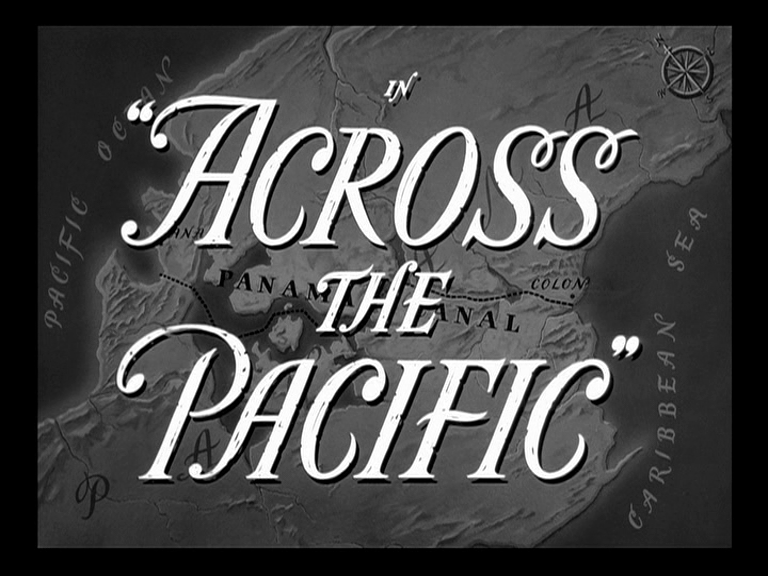 The title stayed the same even though the characters in the film never reach the Pacific ocean. They certainly never cross it. Won oscar for best Special Effects (1955). 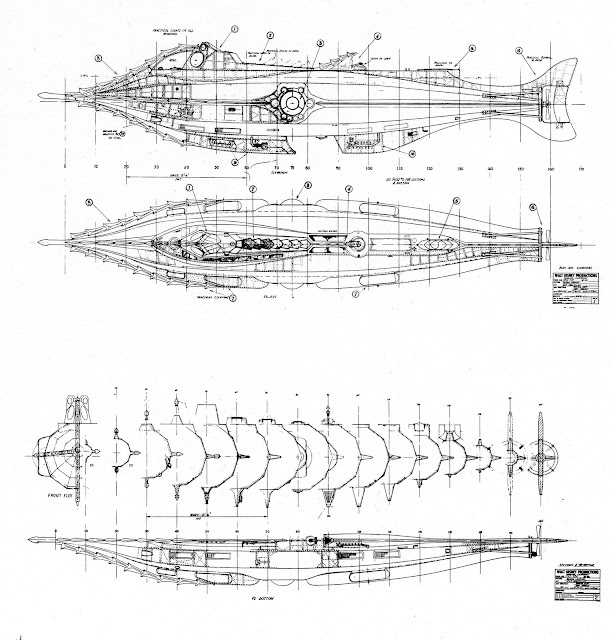 Probably the most recognised submarine shape ever, fictional or otherwise, was the Nautilus designed for Disney's 20 000 Under the Sea by Harper Goff. 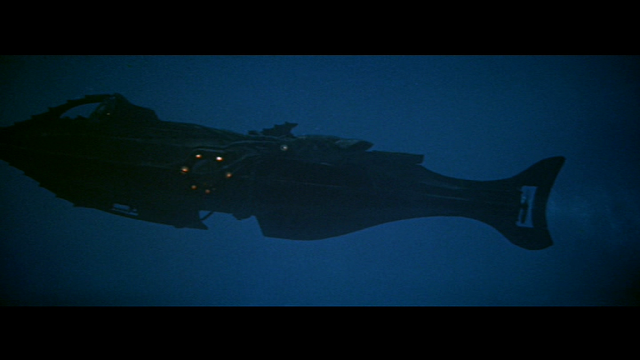 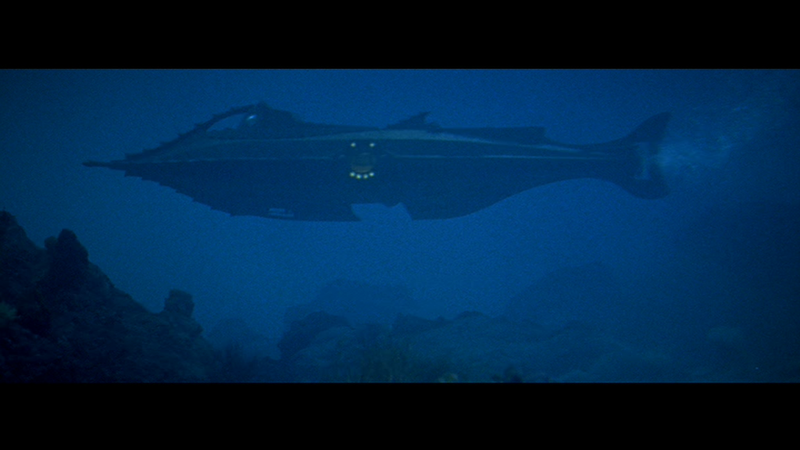 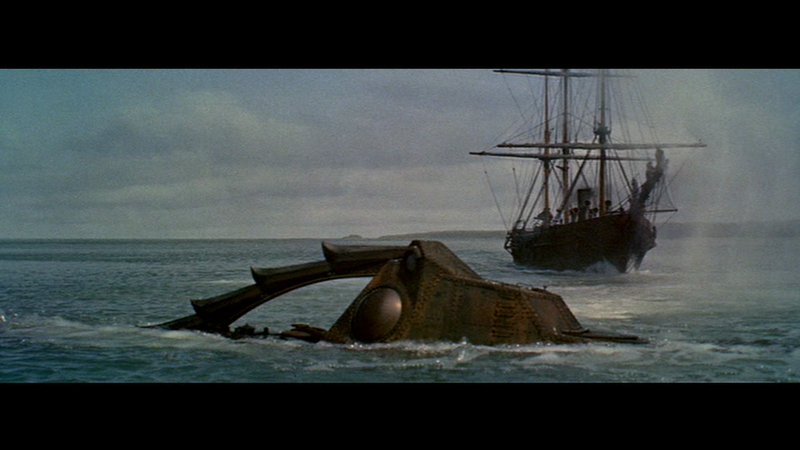 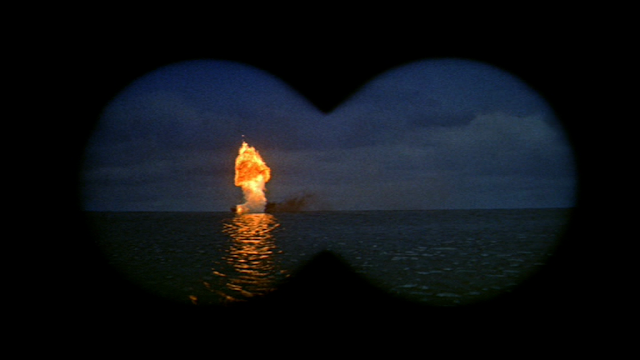 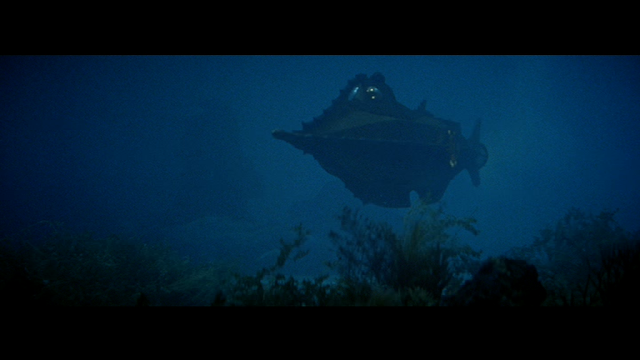 One of the first models built for the film was a "squeezed" Nautilus model which had its length shortened by about half proportionally to match the squeeze ratio of the Cinemascope anamorphic lens. 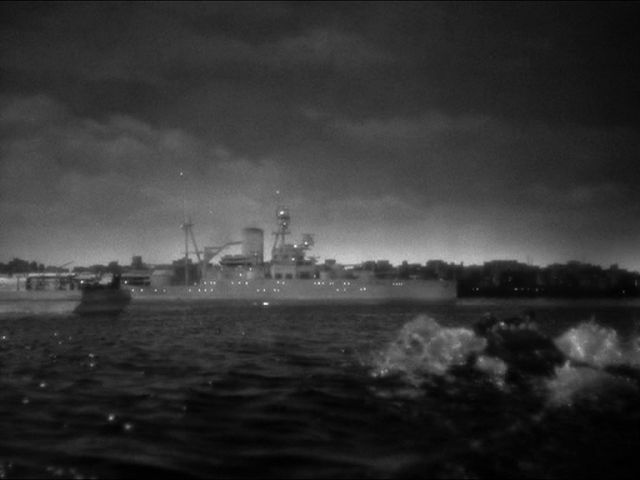 When the film started production there was only one of these lenses in existence, so to enable the model work to progress this shortened model was filmed with a normal spherical lens. 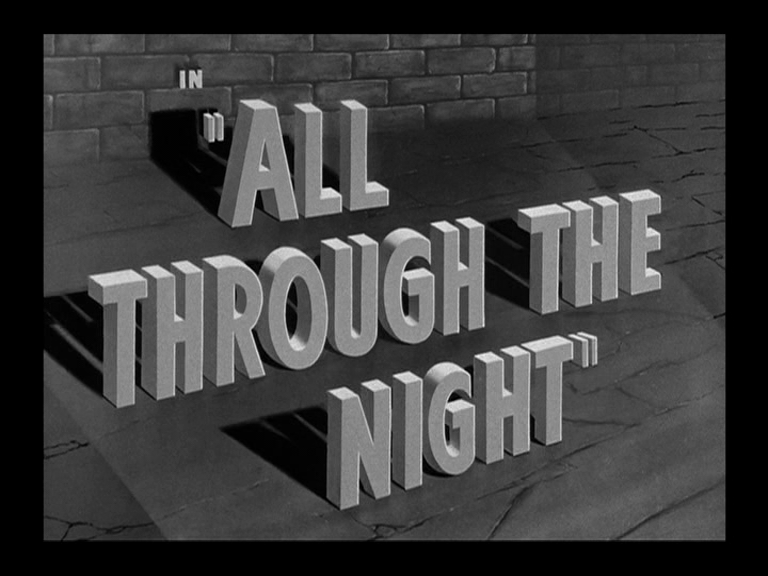 When the footage was projected through the anamorphic projection lens, the image would be stretched out to the correct proportions. 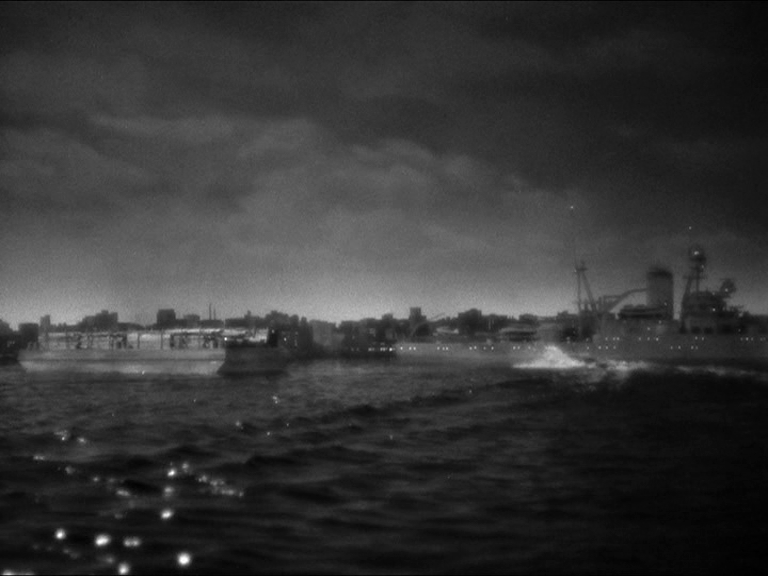 When more of these lenses became available this model was no longer needed. 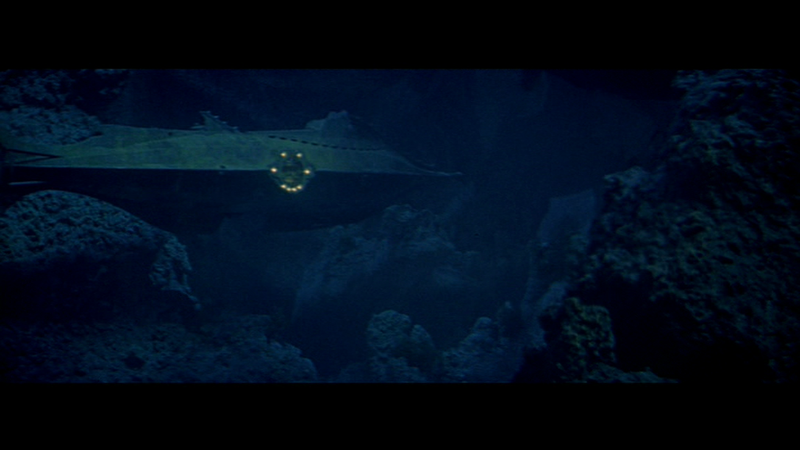 It appears only in very few scenes in the movie traveling underwater. An 11 foot model, properly proportioned, was constructed out of 3mm thick iron plates with detailing in brass. 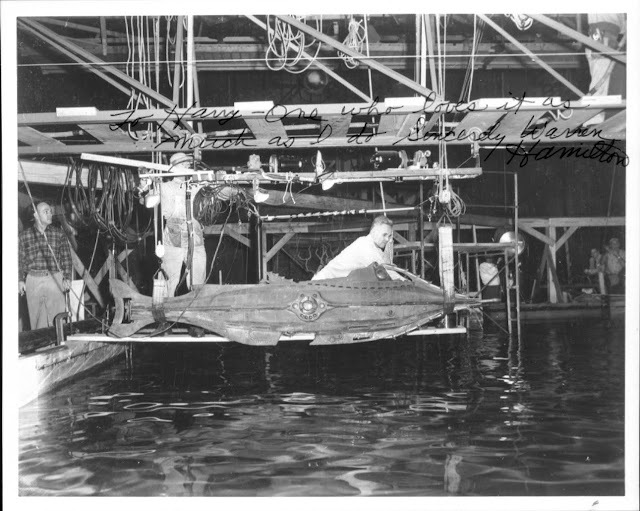 The power to the propellers and internal lighting was provided by 5 car batteries. It weighed more than 1000 pounds (454 kg). 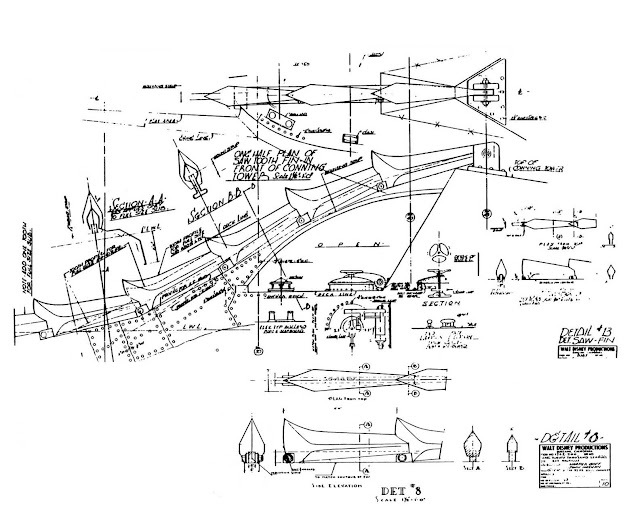 Detail of the saw tooth protuberances. For underwater sequences this model was shot both wet ( in a tank) and dry for wet ( in a smoky environment in the studio) hanging from a so called Lydecker rig, named for its designers and builders Howard and Theodore Lydecker, famous for the miniature work in all the Republic serials. 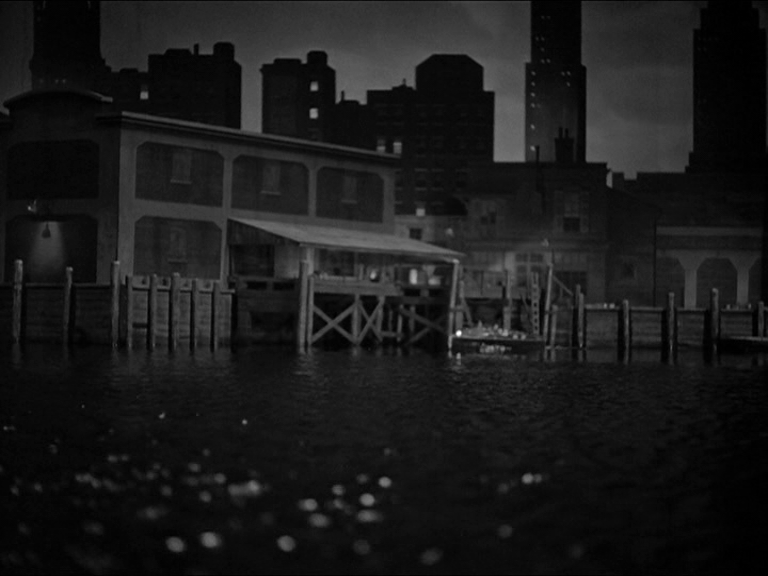 The rig consisted of a raised suspended trolley that ran along tracks with 4 main wires supporting the model below. 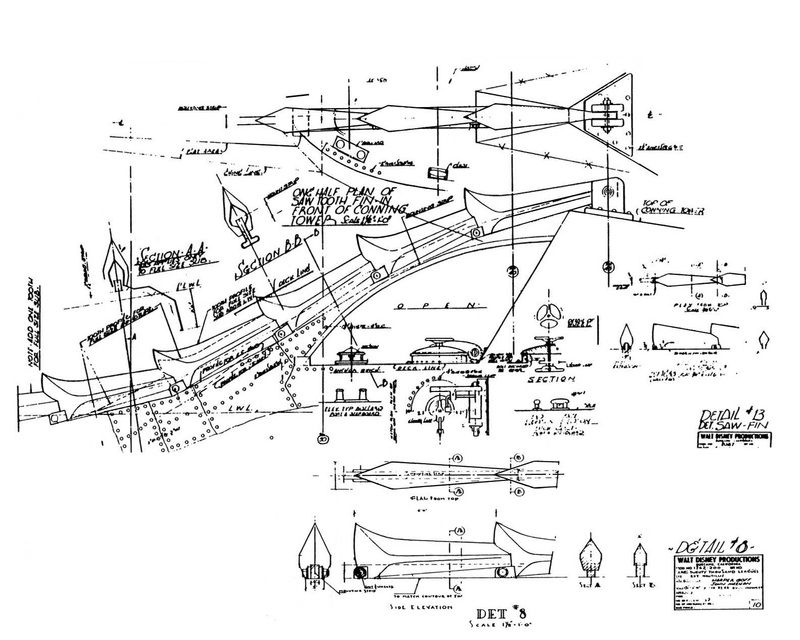 The trolley could travel along the tracks and the wires could be raised and lowered to make the model travel and rise and fall. 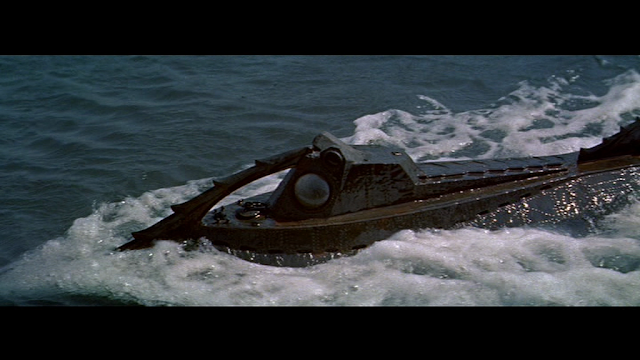 6 other wires operated other functions on the model. 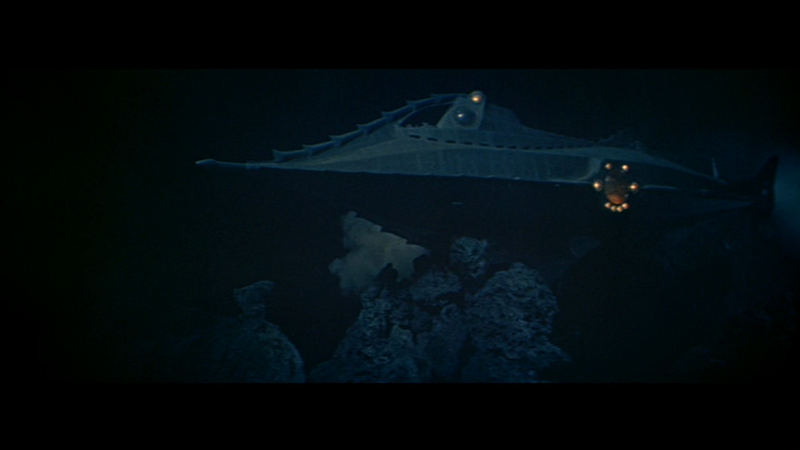 The 11 foot Nautilus on the Lydecker Rig at the Disney tank. 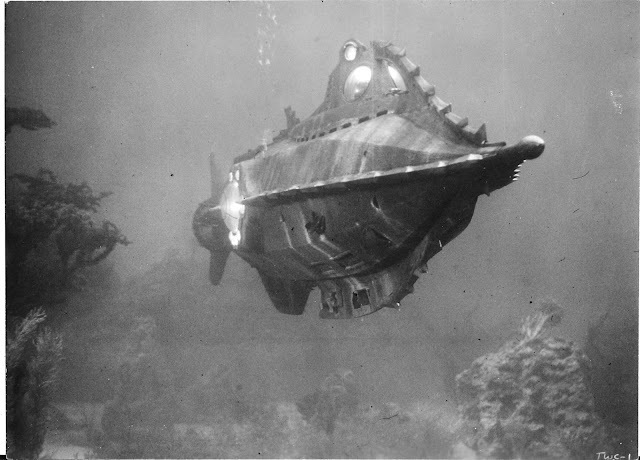 Shots of the Nitrate ship being holed by the Nautilus's saw blade like protrusions, were filmed dry for wet upside down at high speed. 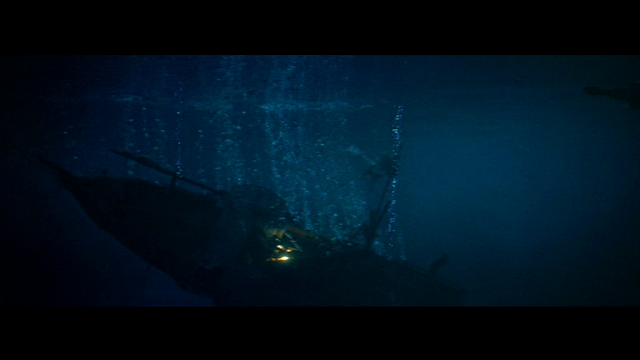 When the damaged timbers of the ships hull fell down in the collision, on screen with the footage now printed upside down, they appeared to float up to the surface. 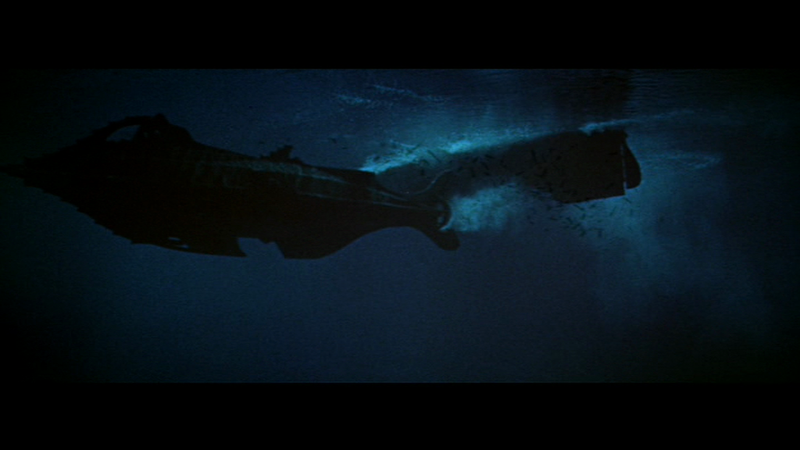 Subsequent shots of the submarine going past the disabled ship were shot in the tank. 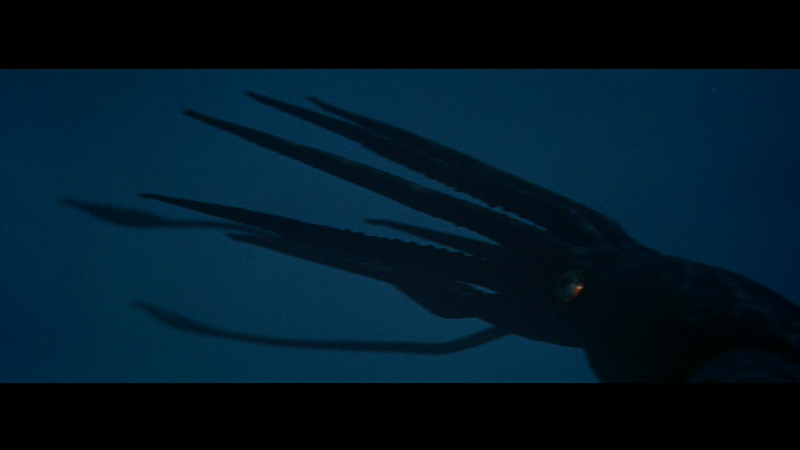 Other tricks included attaching the tentacles of a squid puppet to the model in the tank and pulling it away on wires. 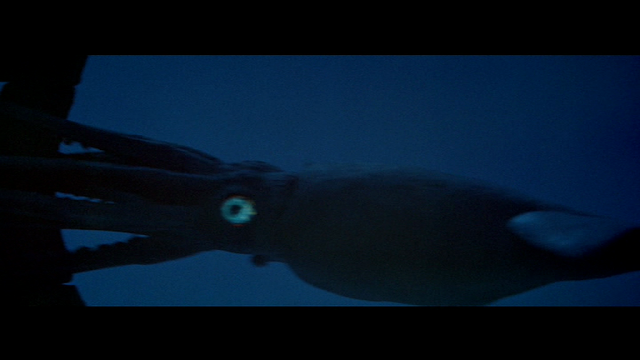 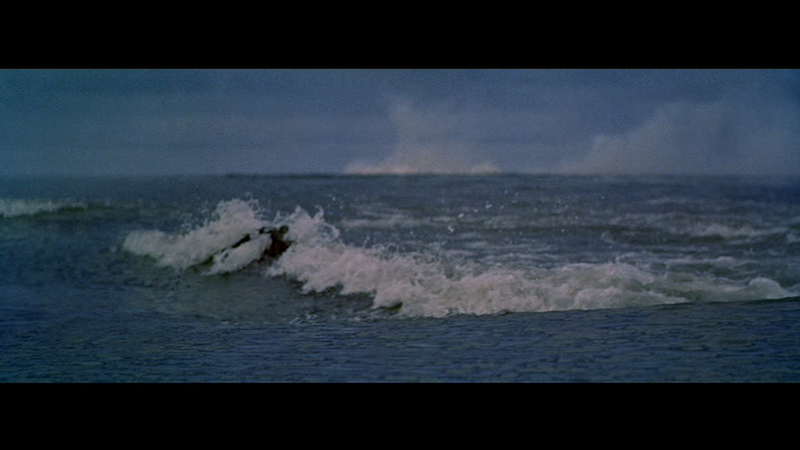 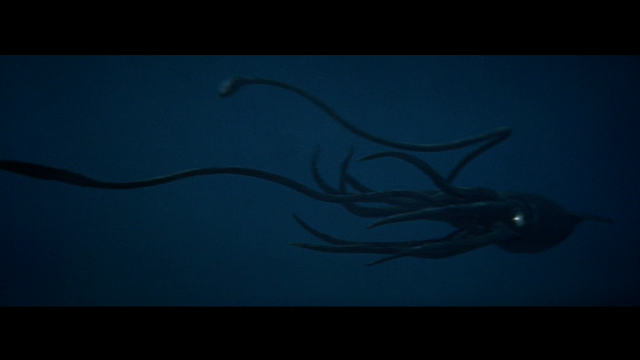 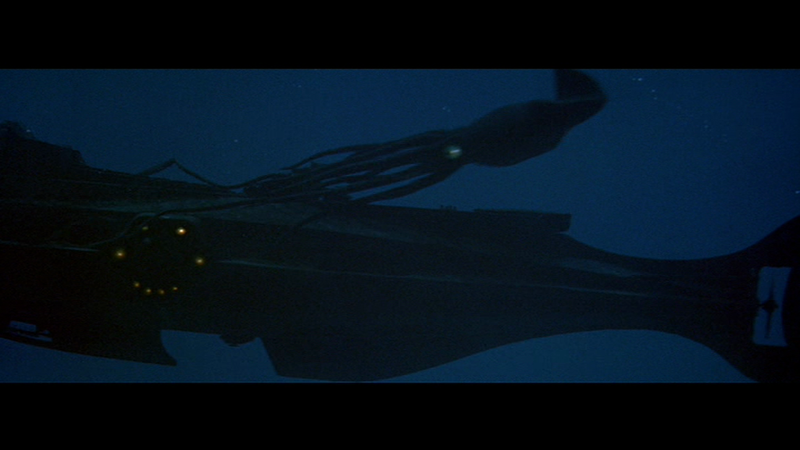 The film was then reversed and it appears like the squid grabs the Nautilus. 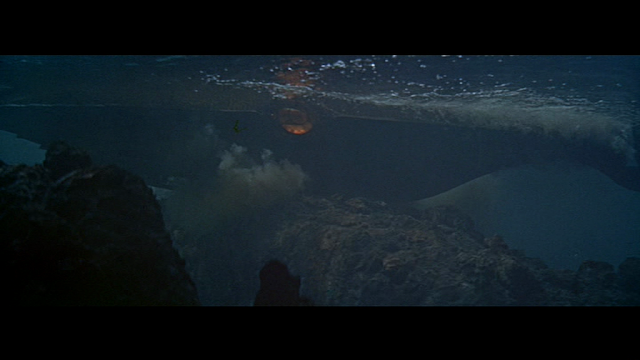 Other dry for wet shots appear in the traveling through the Vulcania tunnel sequence. 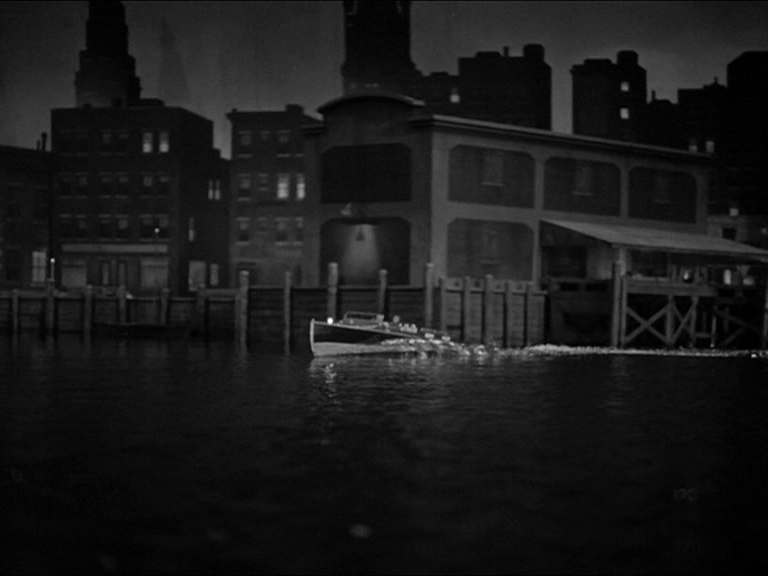 Exterior model scenes were shot at the "Sersen Lake" at Fox studios. 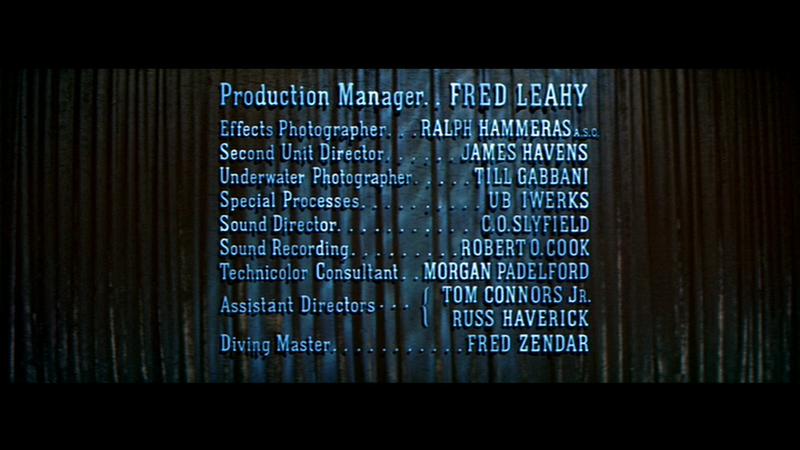 The tank was named after Fred Sersen who was one of Fox studios most accomplished effects supervisors. It was the typical wedge shape 300 feet long, 190 feet at the widest point, back where the water spilled over the edge into a collecting trough to be returned via a pump, thus creating the water horizon effect. 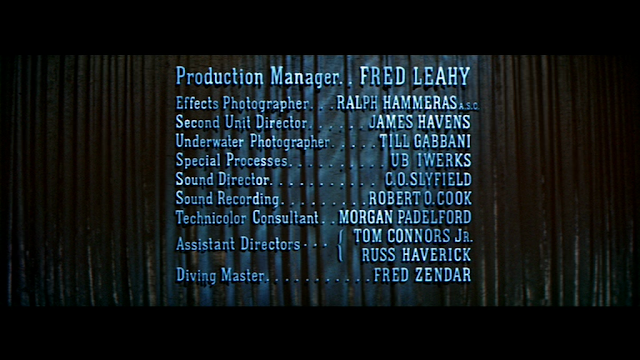 30 feet behind this was a giant screen 73 feet high and 224 feet wide on which was painted the sky and clouds. The tank was 3 feet deep with a 20 foot deep well section in the middle. 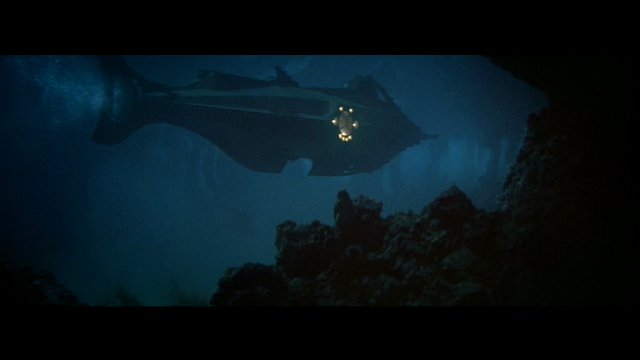 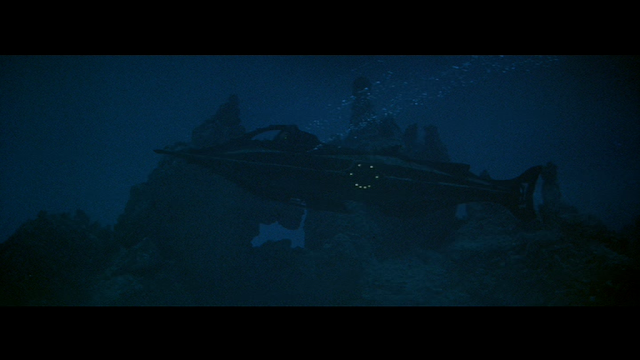 A 22 foot long partial model, attached to a weighted underwater wheeled trolley, was used for the scenes of the mysterious glowing beast running just under the surface. 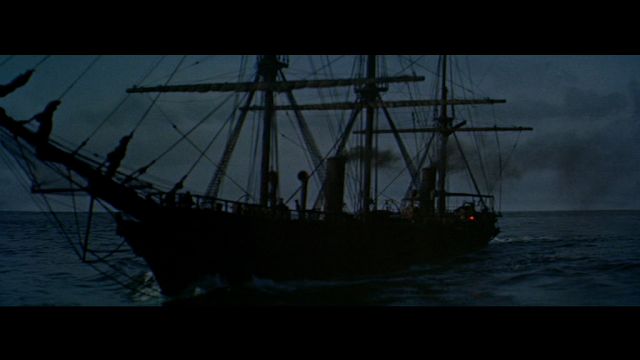 It was rigged with a ring of lights to produce the phosphorescent glow and strong jets of water pumped out of nozzles aimed up and back at the front to produce the bow waves. 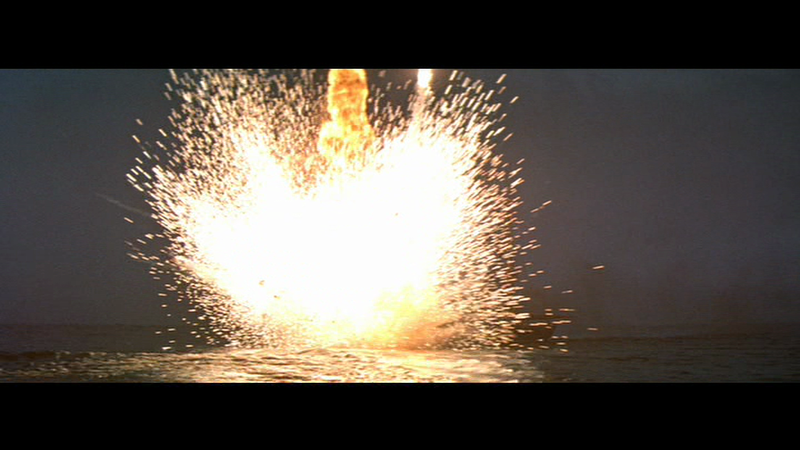 There was also compressed air hoses added to this mix to produce the foam. It was pulled through the water by a hefty cable attached to a truck. 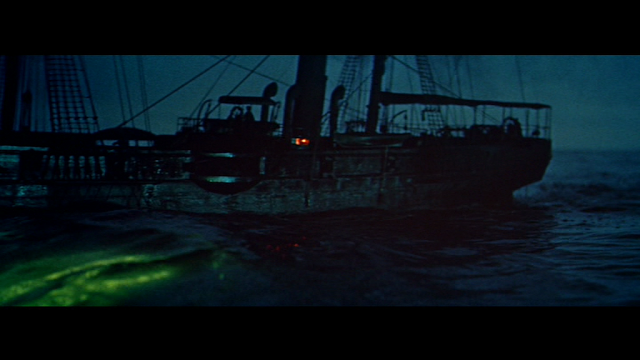 Glowing under surface trolley rig. 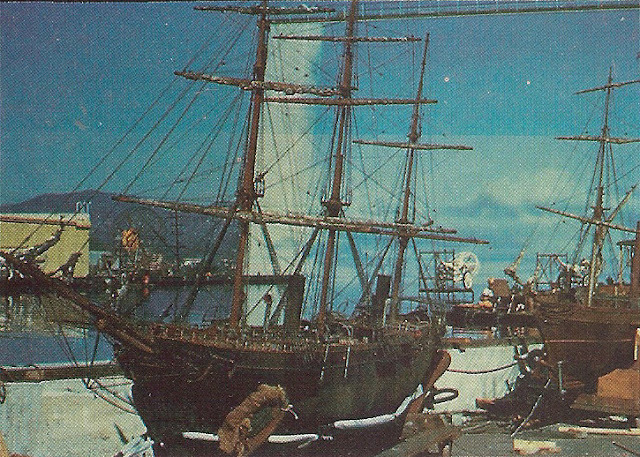 A lot of seaweed dressing can be seen on the model which was subsequently not used. 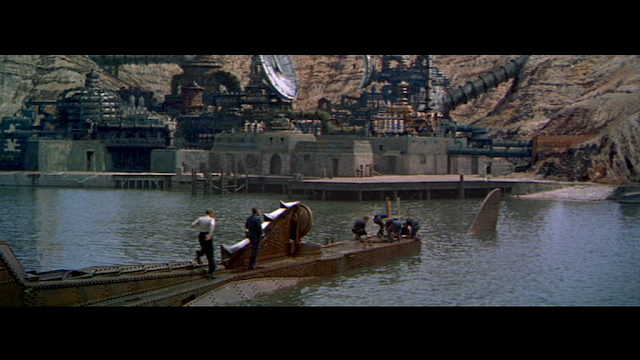 Note scenic painter working on the sky backing at the back of the tank. 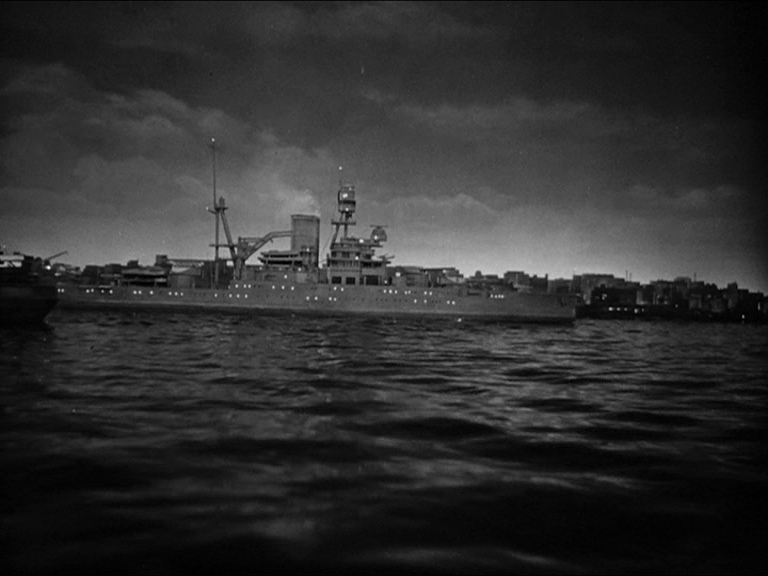 Three other models were used in the production. The largest, the Abraham Lincoln, was built around 30 feet in length and highly detailed. 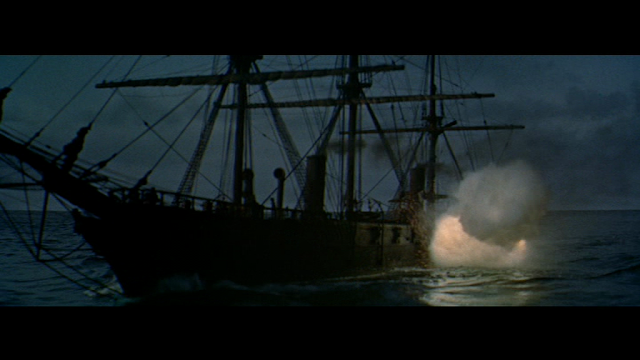 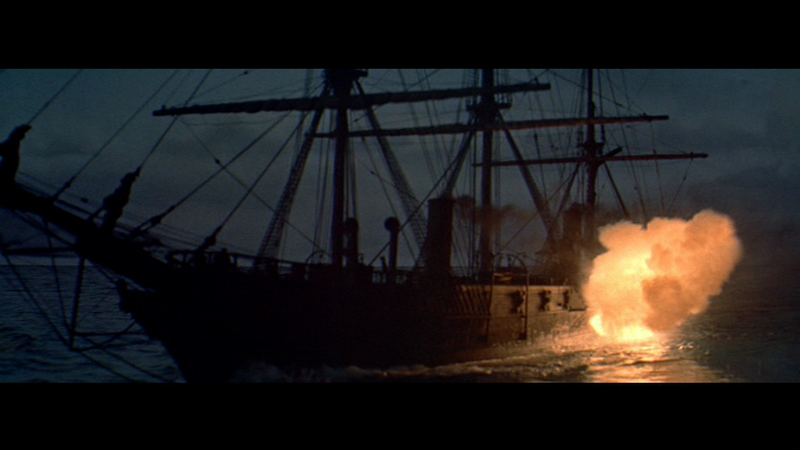 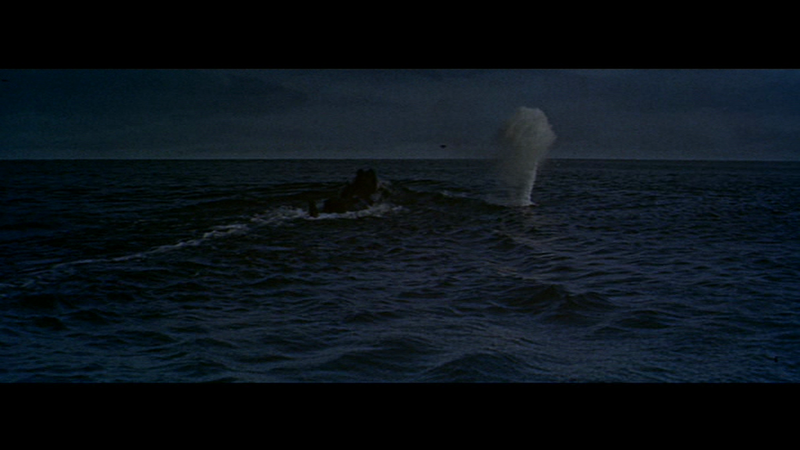 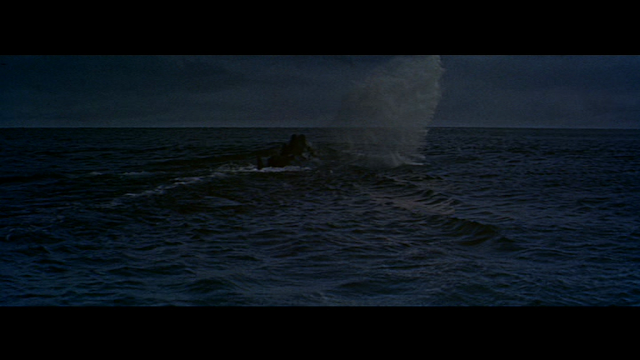 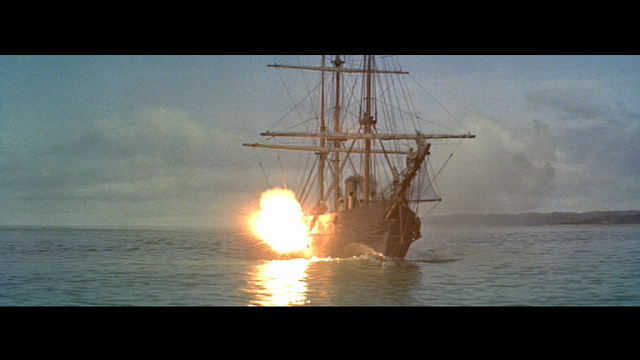 It was rigged with similar jets of water for the Bow wave and had other practical effects such as the cannon fire, black smoke from the smokestack and internal lighting. 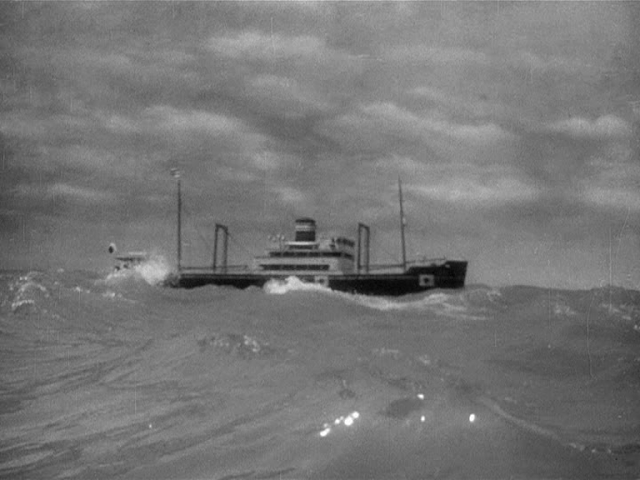 The other two ships were already existing models sourced from previous productions at Fox studios. The Golden Arrow, sunk at the start of the film was a sailing ship to which the Disney model crew added working paddle wheels. 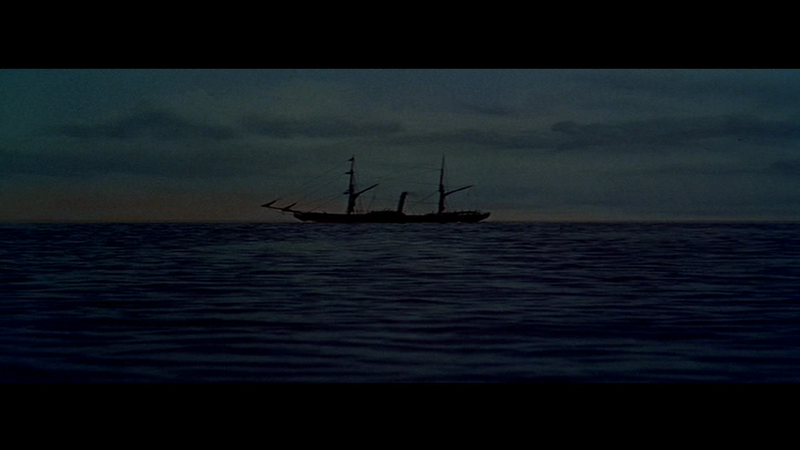 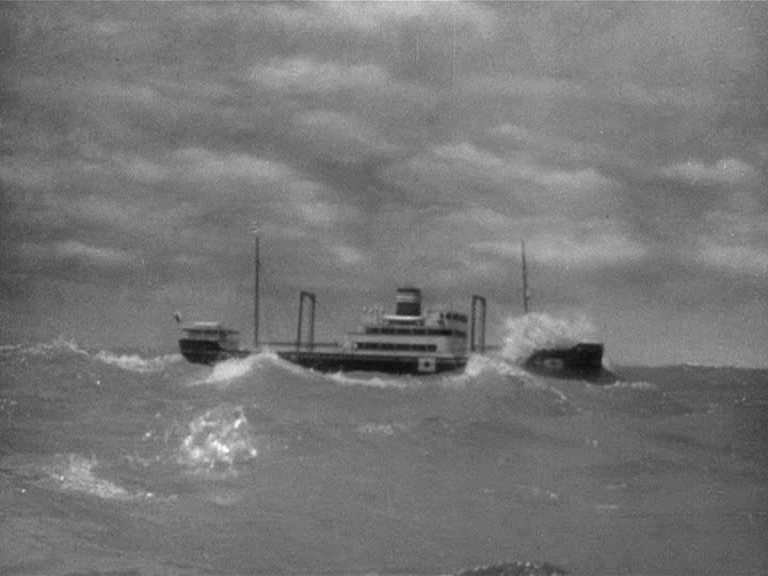 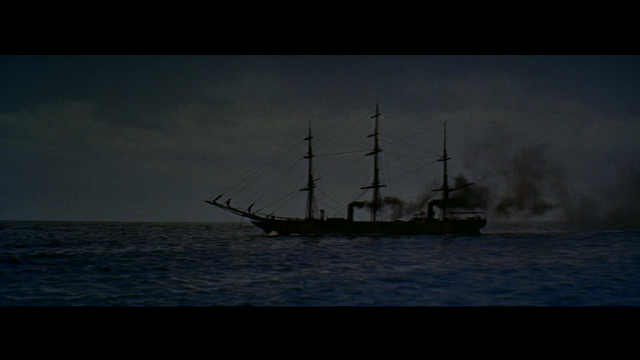 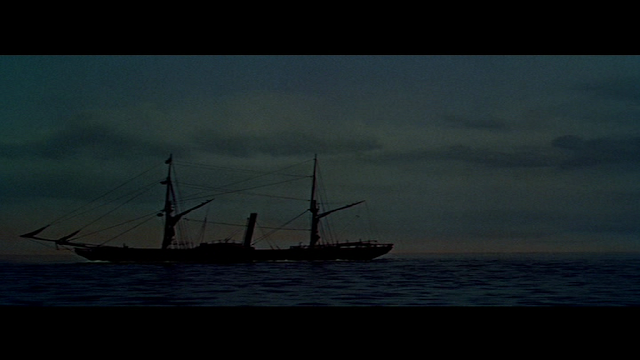 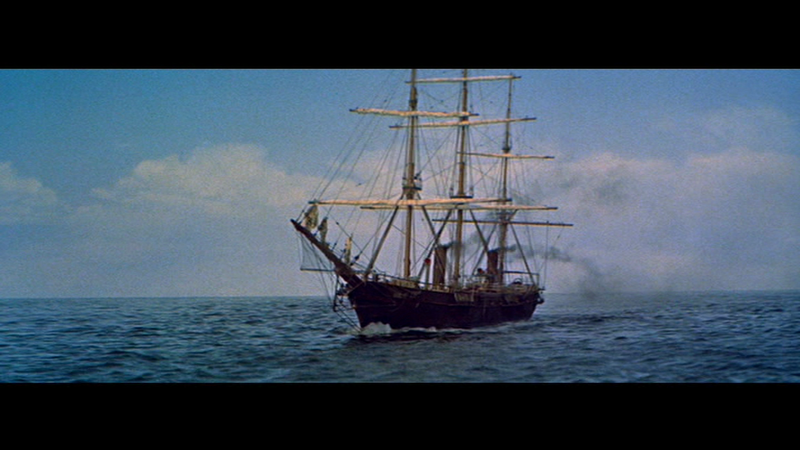 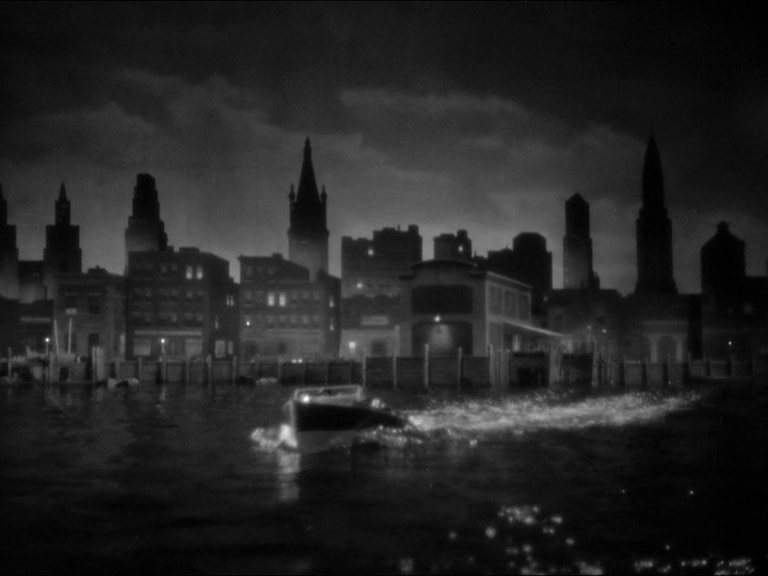 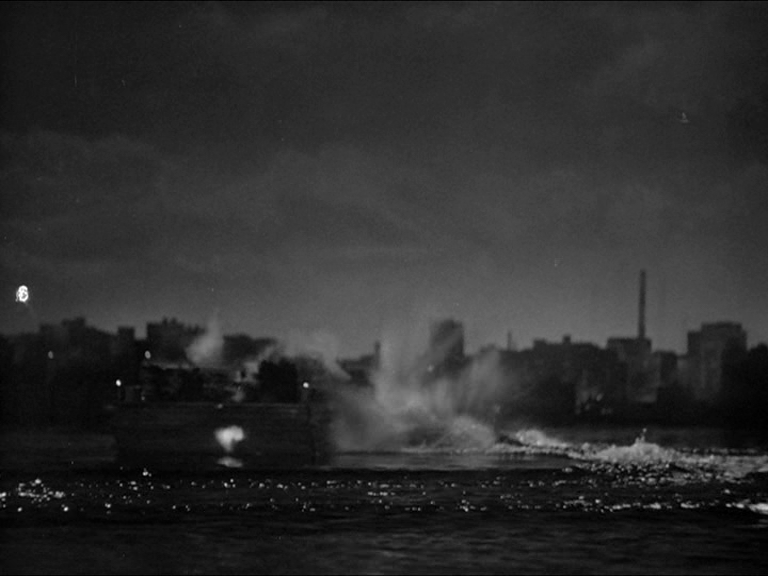 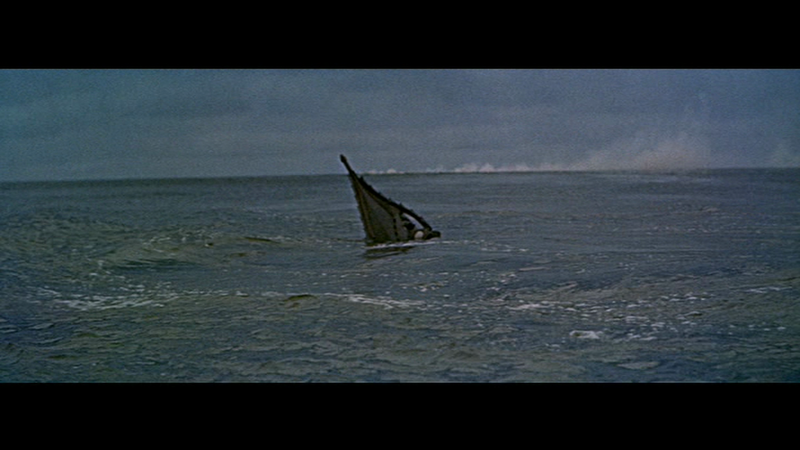 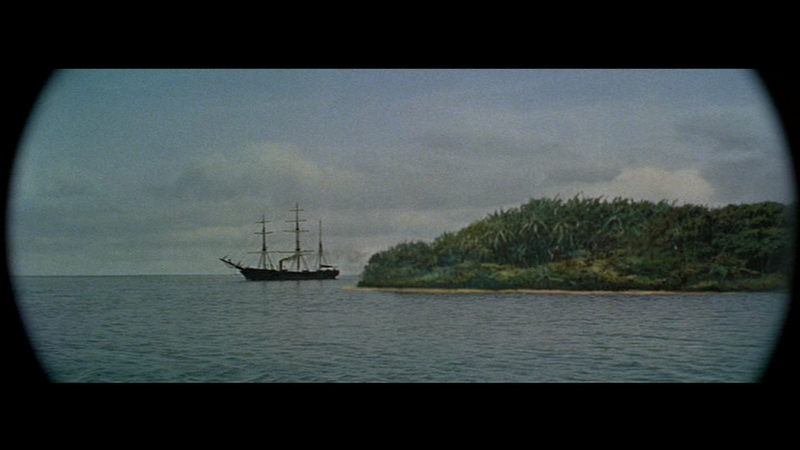 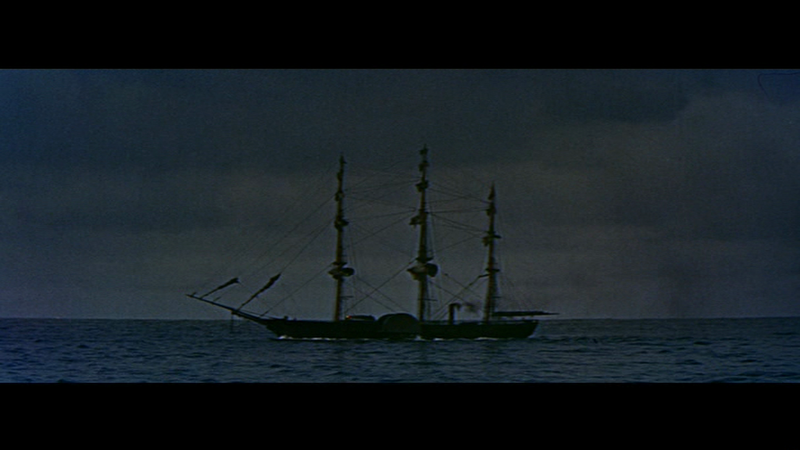 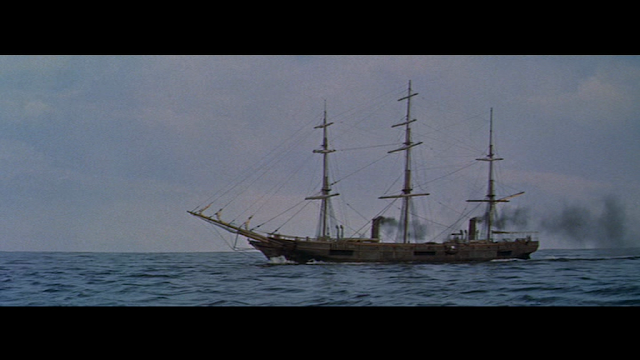 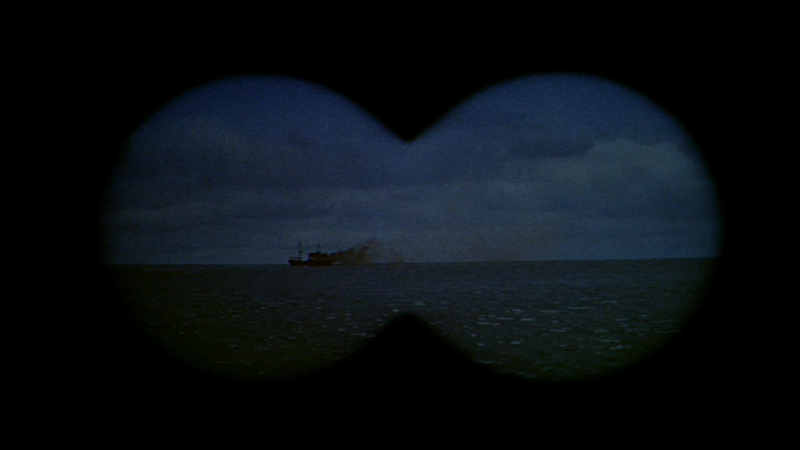 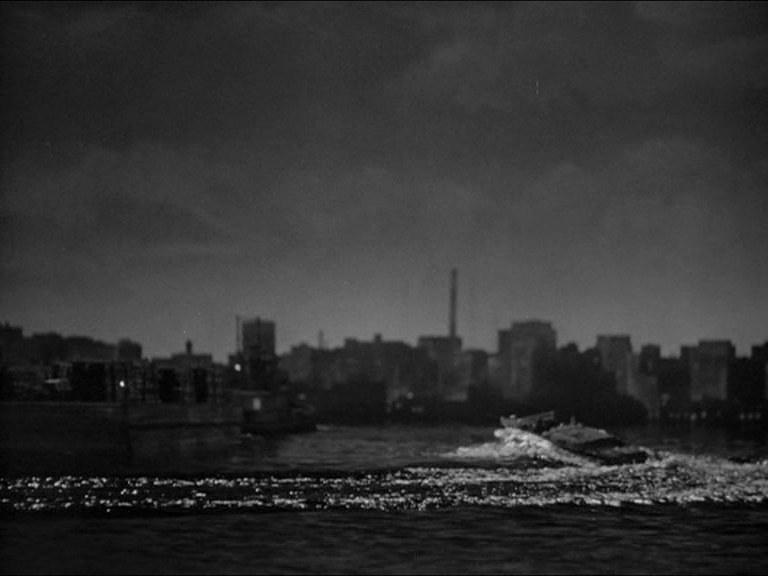 The other unnamed nitrate ship originally appeared in Rulers of the Sea (1939) and Reap the Wild Wind (1942). 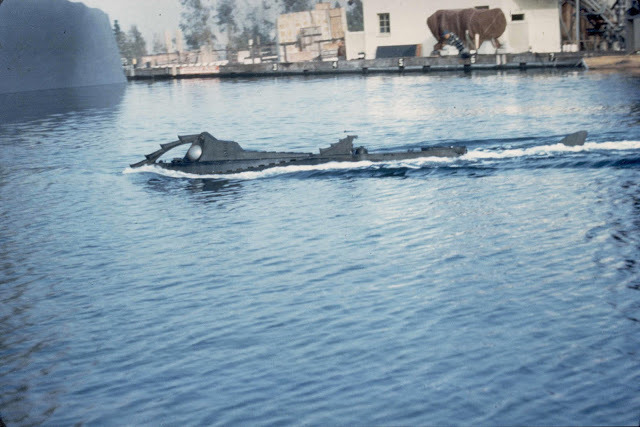 All these models were floating and towed by an underwater cable. 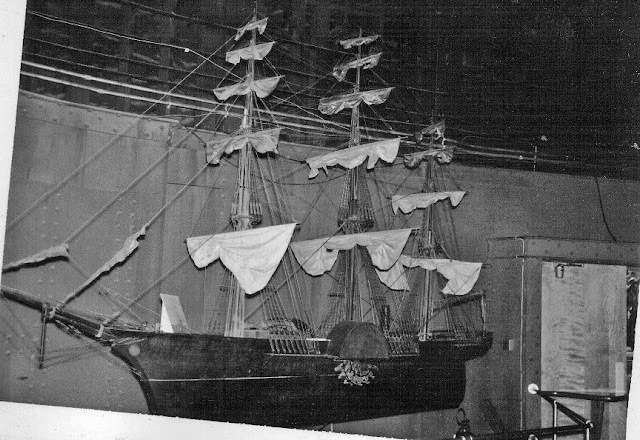 The Abraham Lincoln model on its cradle. 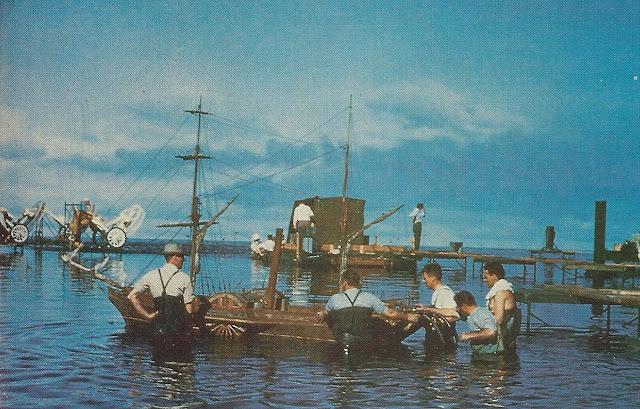 Technicians preparing the Nitrate Ship model. 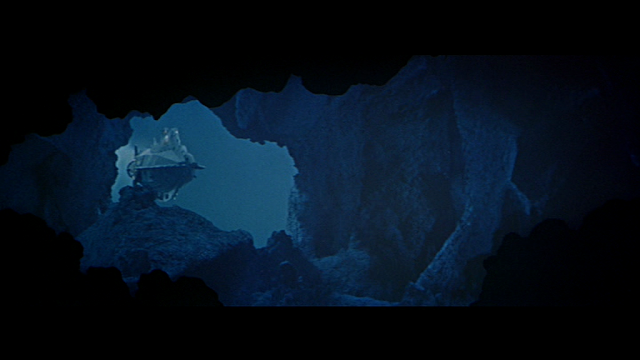 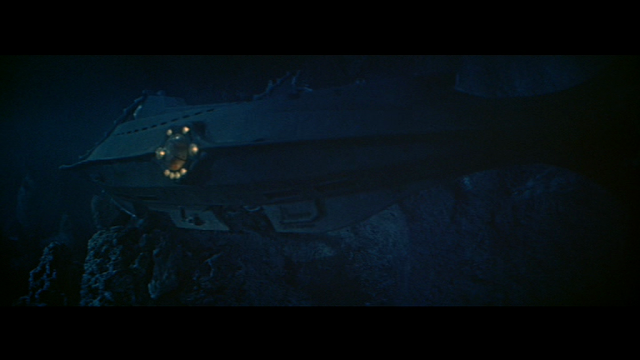 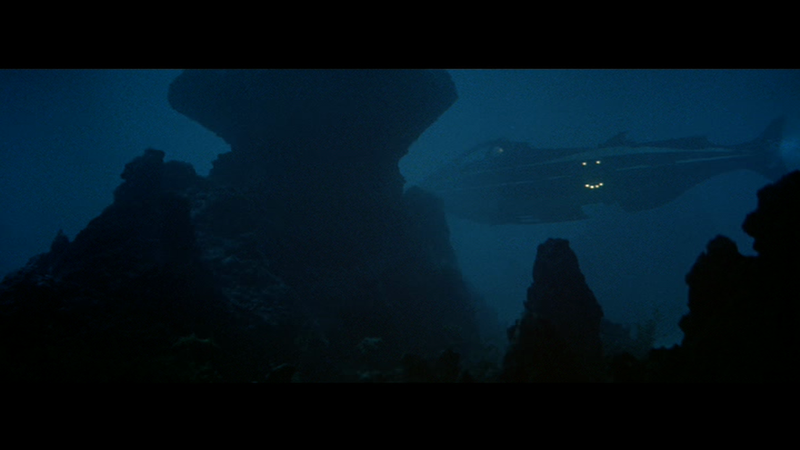 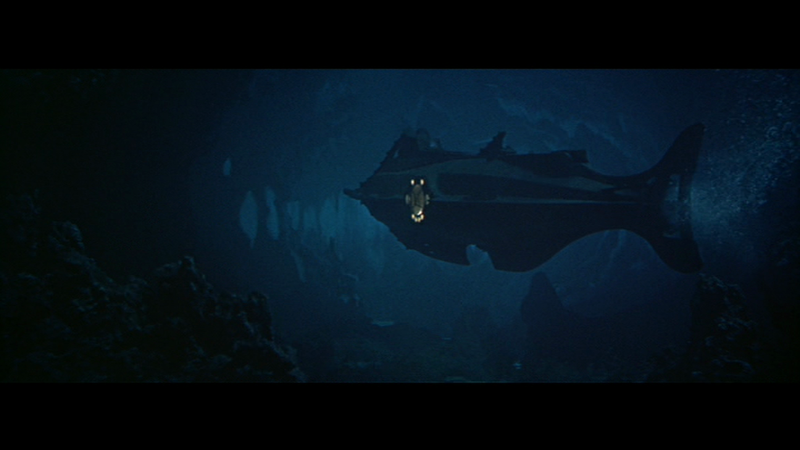 There was also an abondoned sequence shot which was set in the Antarctic in which the Nautilus appears with large prop icebergs in the Fox tank. Deleted scene of the Nautilus and icebergs. 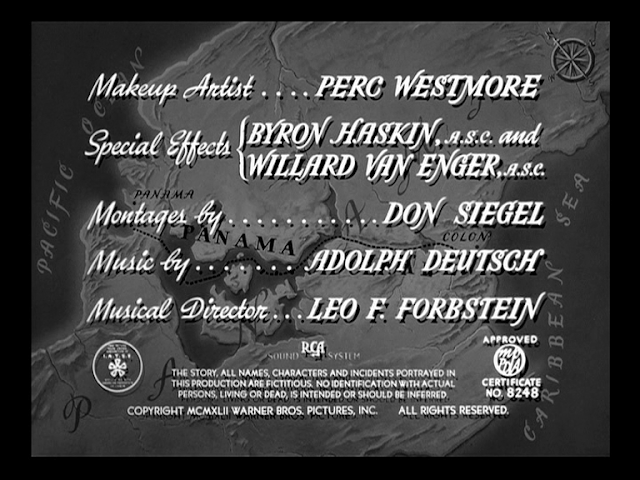 The edge of the backing screen can be seen at the right hand side of the picture. 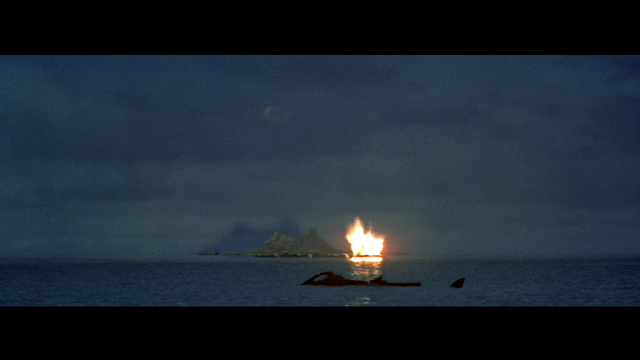 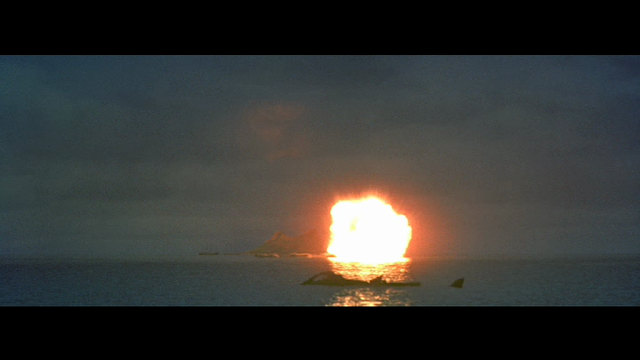 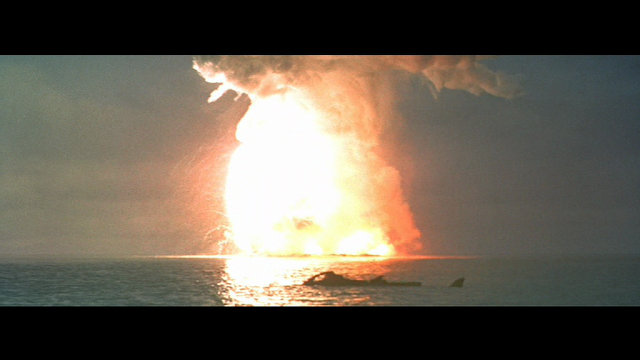 The final destruction of both the Nautilus and the Island was also done in the Sersen Lake. 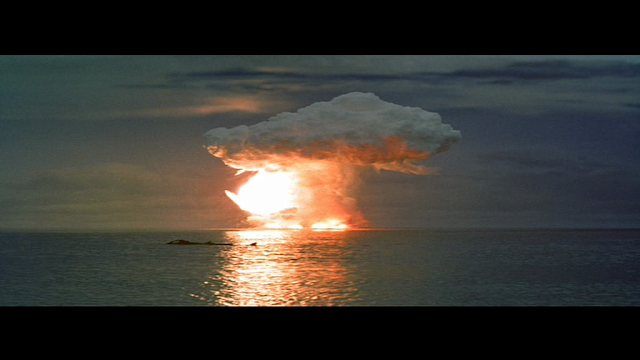 A very large amount of flash powder was used to give an atomic mushroom cloud like explosion. 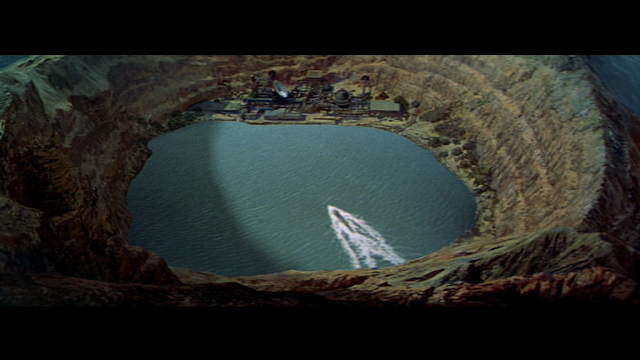 It is so bright that for a frame or two you can see the shadow of the cutout painting of the island cast a shadow on the sky backing. 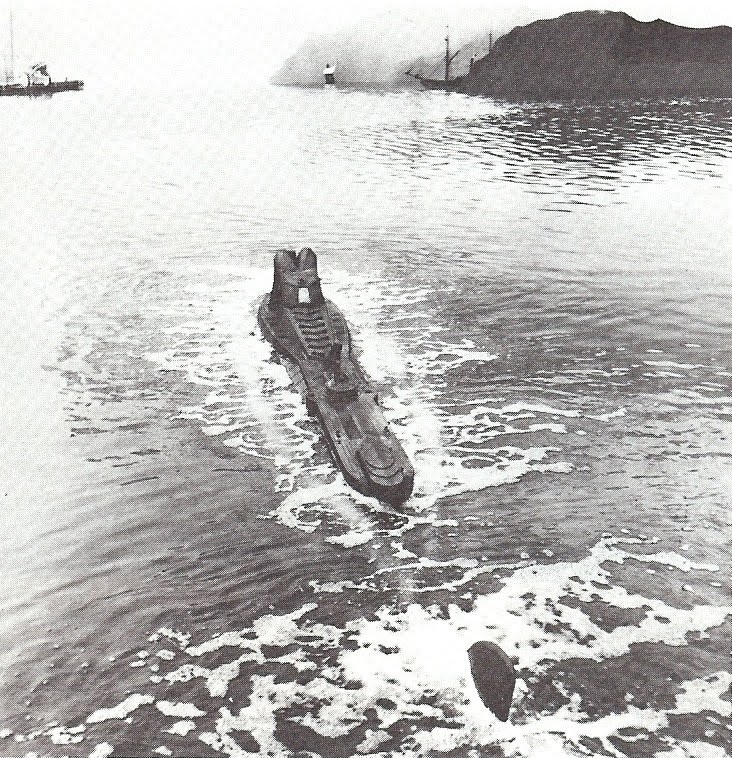 Two weighted trolleys were pulled by the usual truck and cables to generate the tidal wave that travels from the back to the front of the tank. The first take had the truck driver get over enthusiastic putting pedal to the metal which caused the wall of water to go right over the front of the tank inundating the camera and operators. Timed to the passing of the tidal wave, the cable attached to the Nautilus model was first left loose to alow it to be buffeted by the wave and then pulled tight and down by a weight so the submarine sunk under water in the deeper section of the tank. This film represents one of the landmarks of model ship cinema. There is a real sense of quality with the miniature work in this film. The lighting is both moody and realistic. 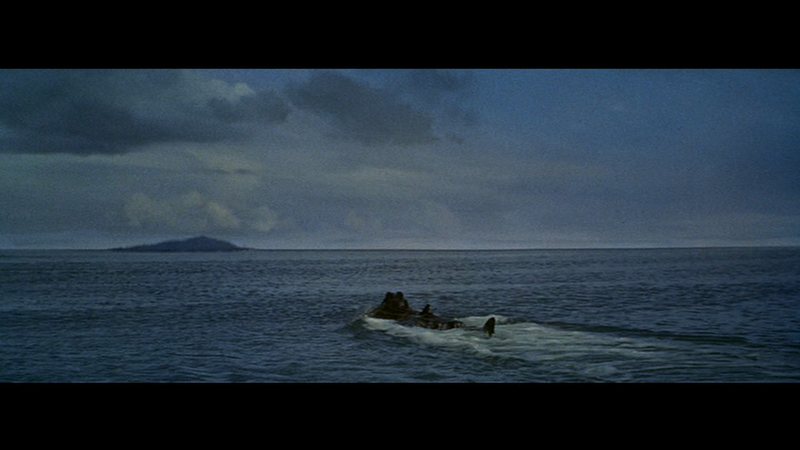 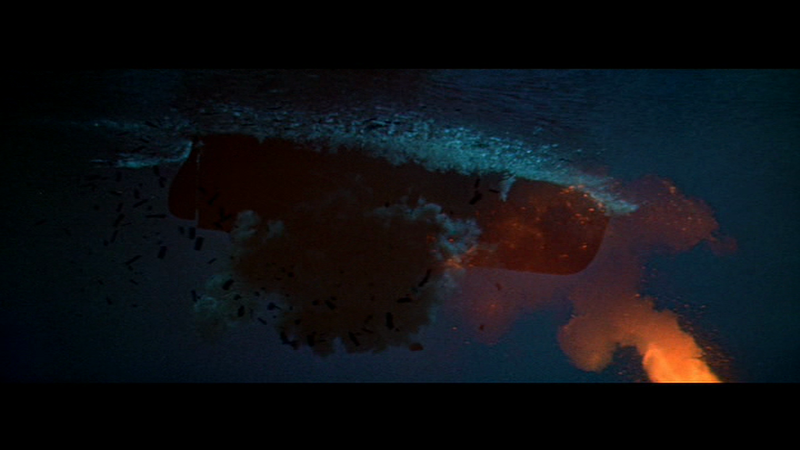 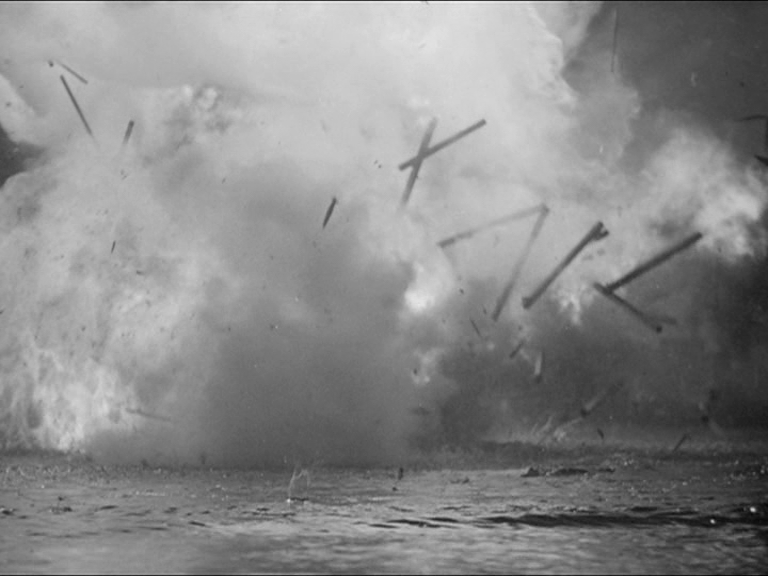 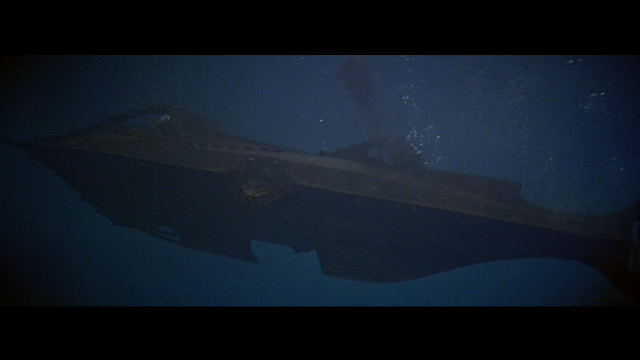 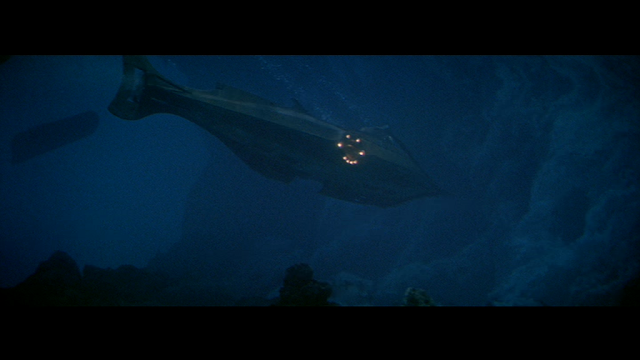 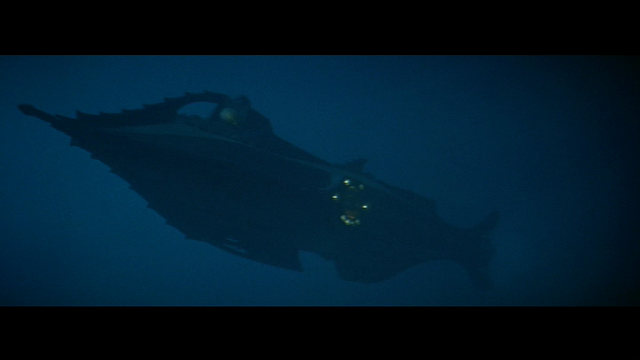 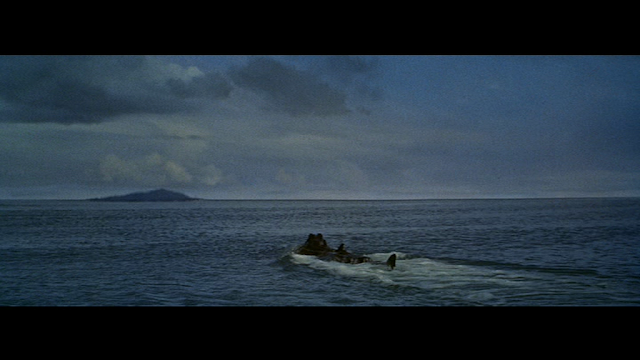 The underwater scenes have a real sense of scale, the water is effectively dense with particulate matter and not so clear that you can see the tank sides like so many submarine films up to this point. 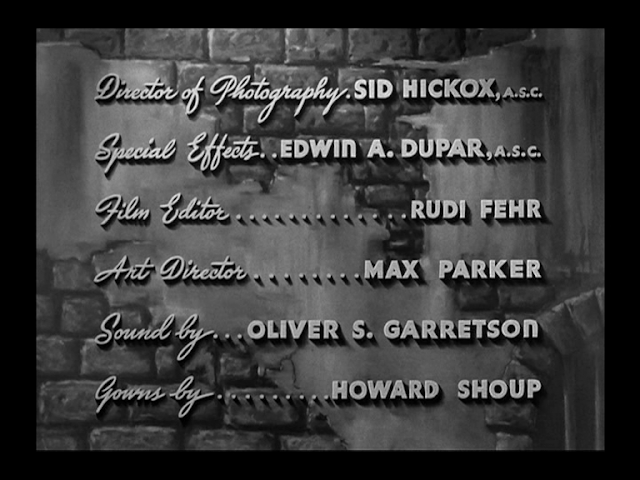 I have recently come across an excellent documentary in 6 parts on youtube about Peter Ellenshaw the legendary matte painter. 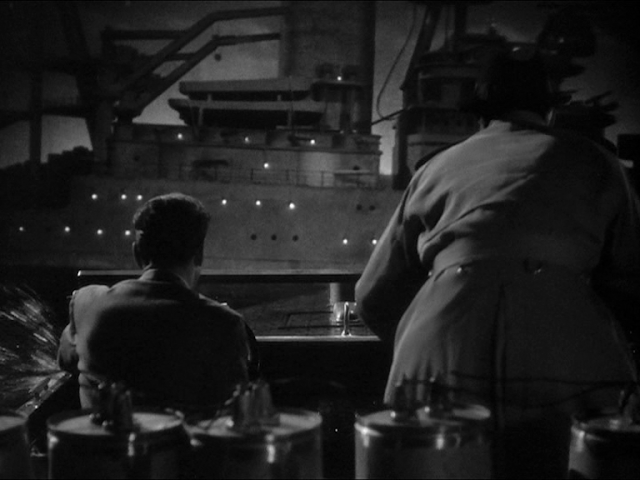 He describes his work on 20,000 Leagues and in particular the fact that he was responsible for the moody lighting in the model work. 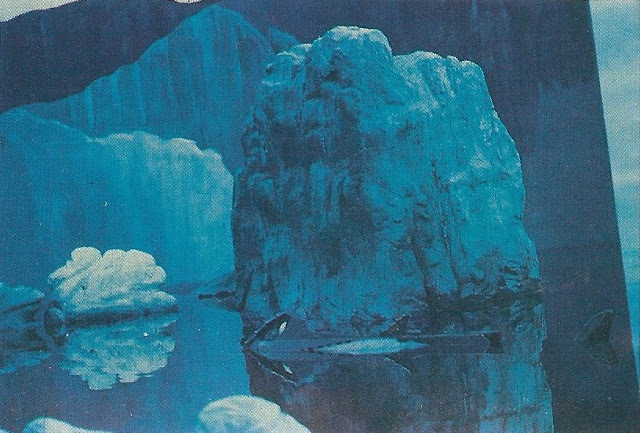 He was rather disappointed with the original miniature shots and did a few sketches of what he thought it should look like, these were discovered by Walt Disney who then made Ralph Hammeras work with Peter Ellenshaw in getting the look of the miniatures right. 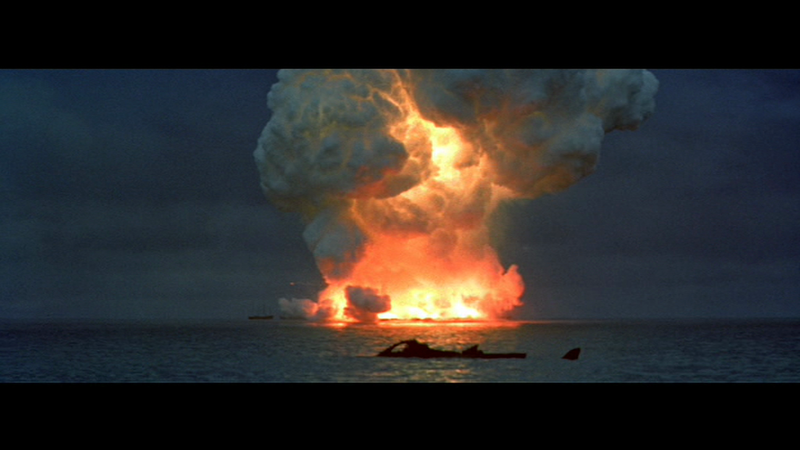 This explains a lot. The miniature work never seemed to me to belong to Ralph Hammeras' style. This becomes more apparent when only 3 years later Ralph Hammeras contributed to the laughably lamentable, though none the less amusing, visual effects for "The Giant Claw" which has one of the silliest looking monsters in 50's B movie cinema. 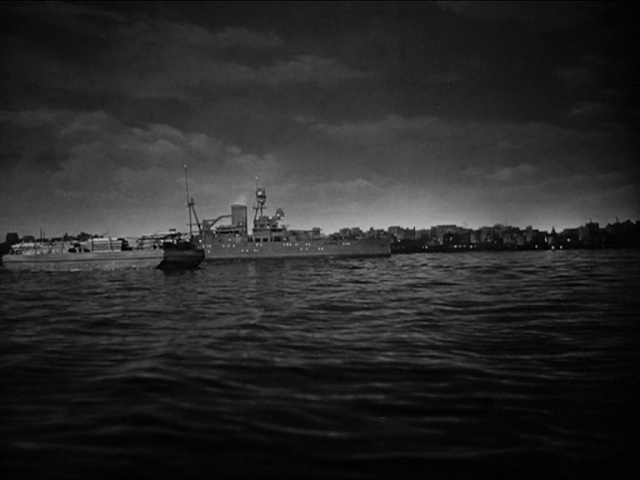 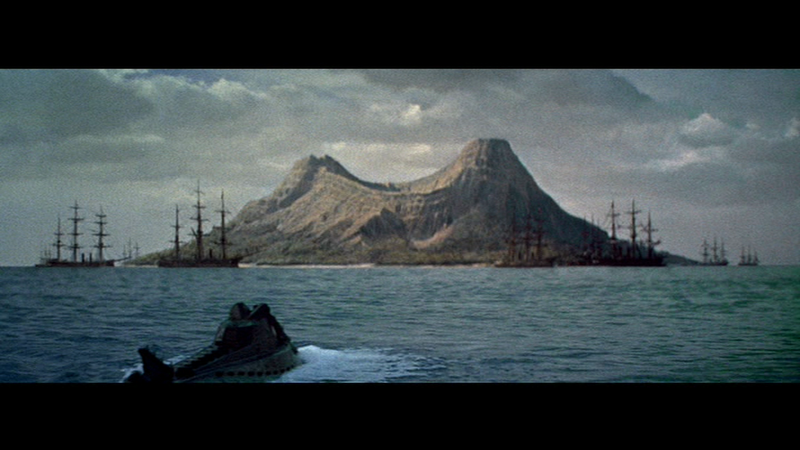 It is clear that it was Peter Ellenshaw that made the difference to the quality of the shots and made it one of the pinnacles of "model ships in the cinema" movies. 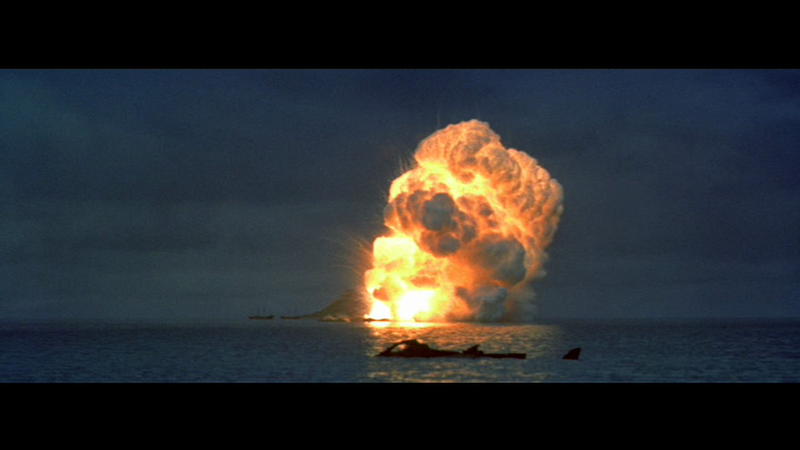 Shadow of the island cutout is cast on the painted sky backing by the intense light of the flash powder blast. Source; Cinefantastique magazine May 1984 feature Article by Joel Frazier & Harry Hathorne.